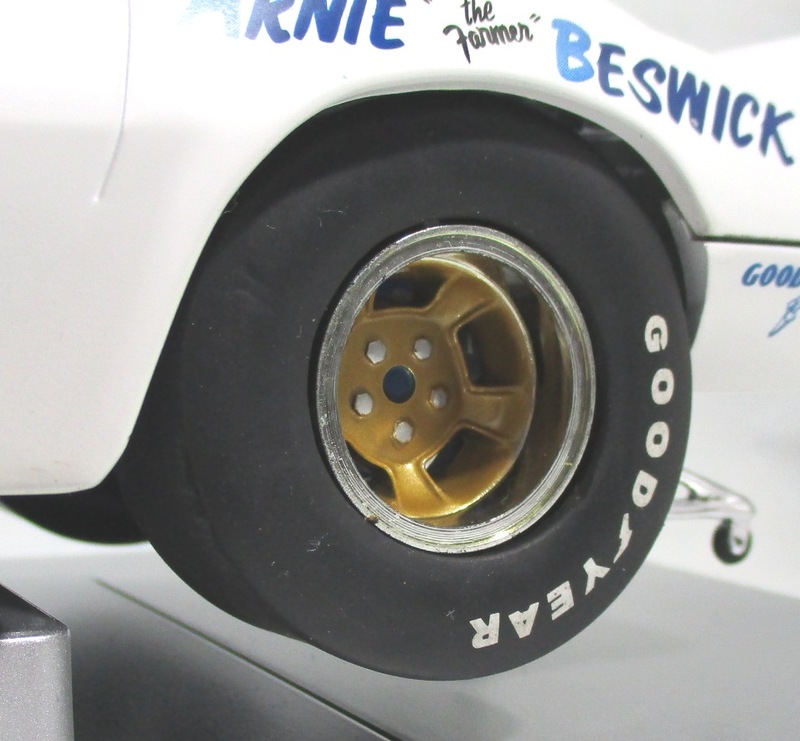 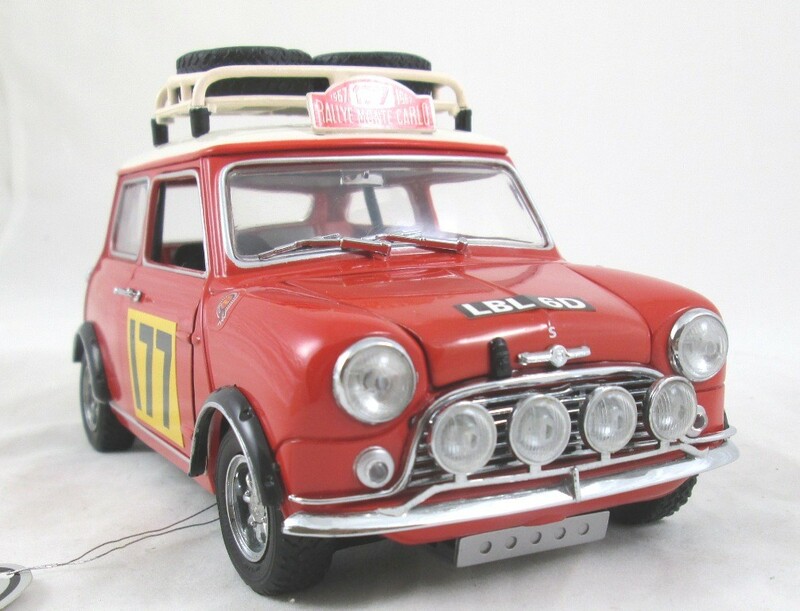 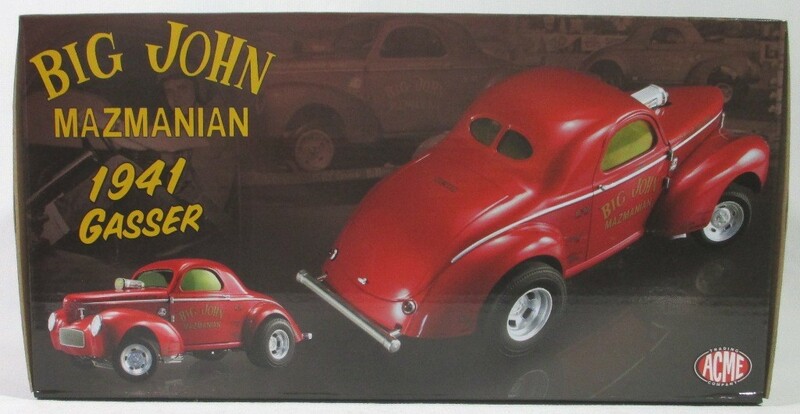 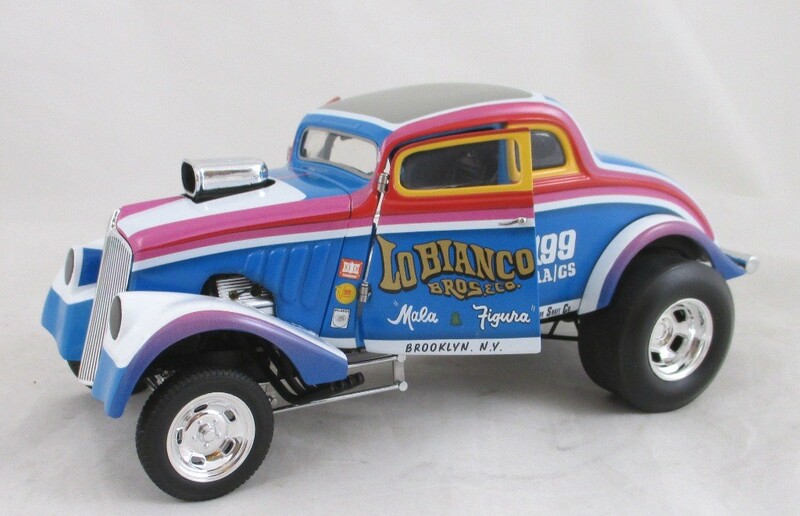 This page will include Diecast 1/18 scale cars and trucks of Drag Racing, Nascar, Indy and any other form of racing cars. 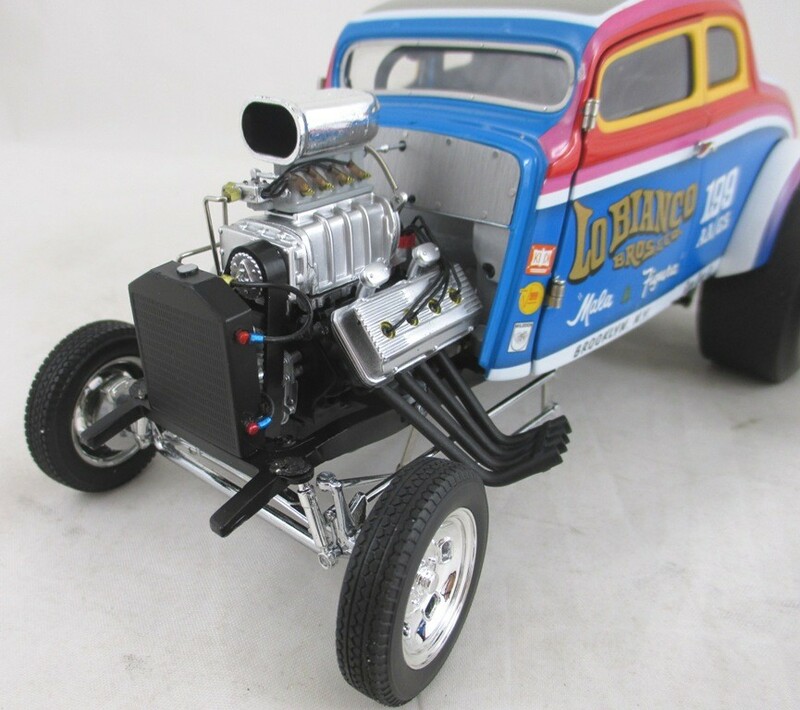 Most will be Drag Racing and will include Gasser, Pro Stock, Dragster, Super Stock and Funny Cars. 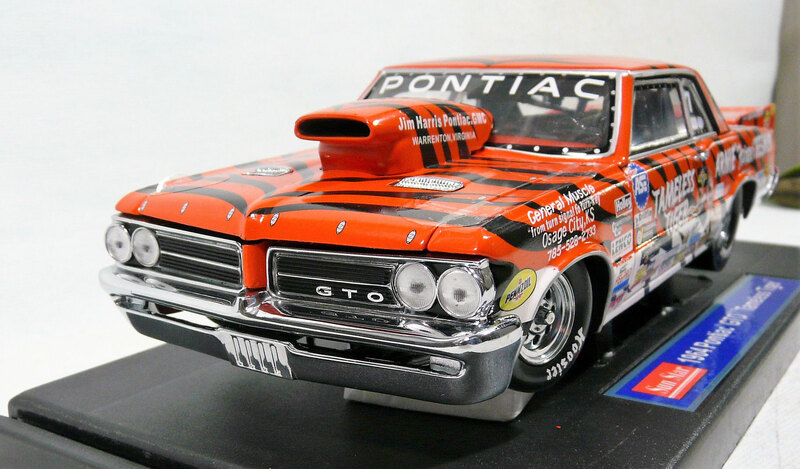 They were made by Ertl American Muscle, Highway 61, Sun Star, GMP, Yat Ming, Precision Miniatures, Miasto and more. 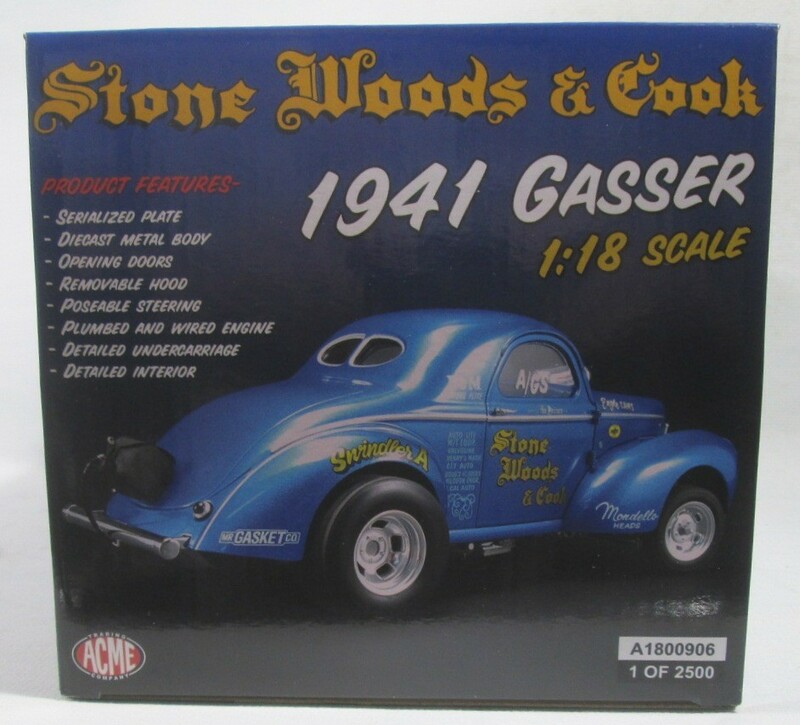 Acme Stk# 1800902 1933 Willys Gasser. 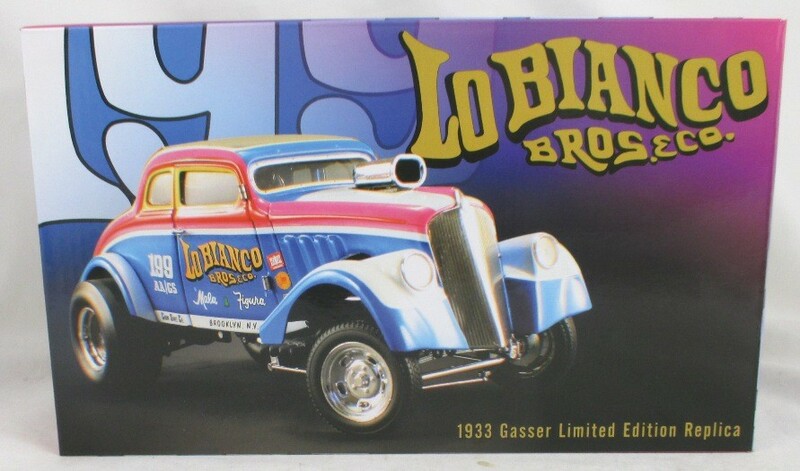 The Lo Bianco Bros. 1/18 diecast Super high detailed race car. 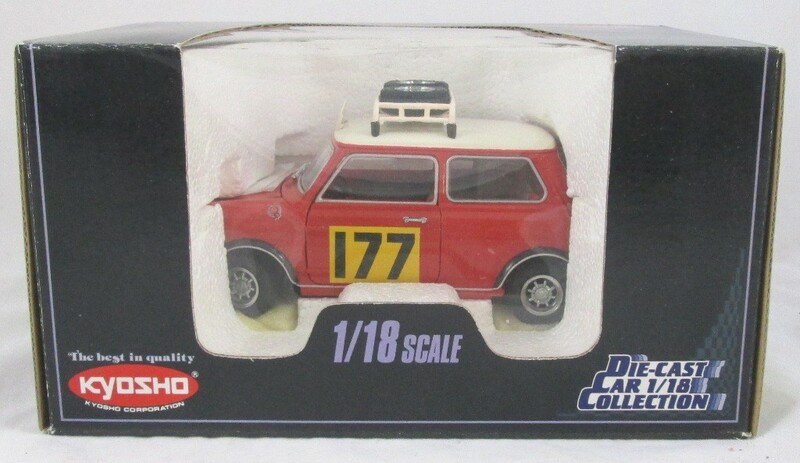 Limited Edition 1 of 1250 Each with Serial Numbered plate. 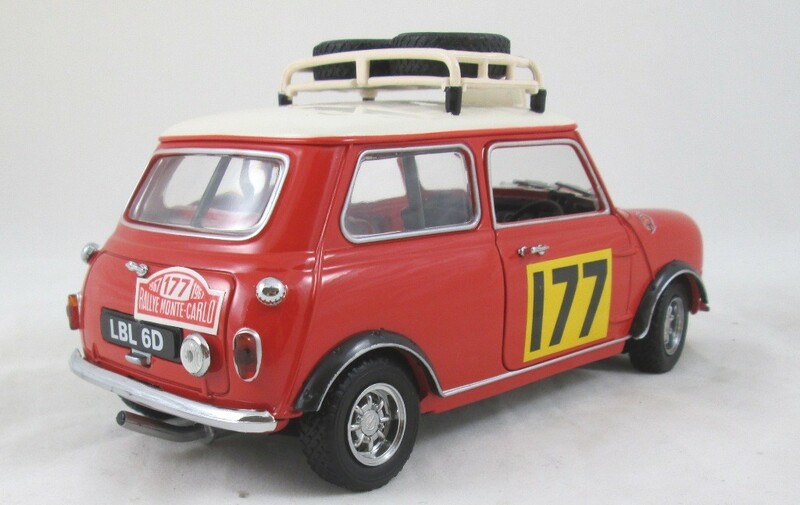 New in Mint Box, Never displayed, Opened only for photos. 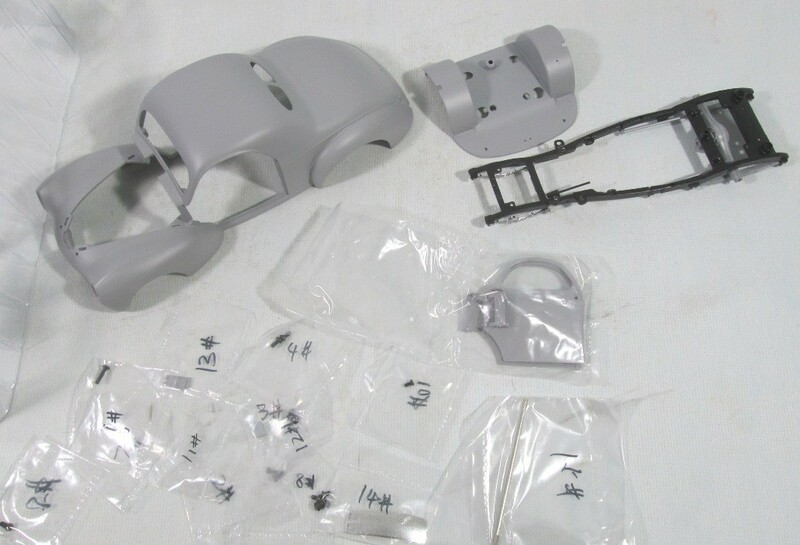 Made from the Precision Miniatures tooling. 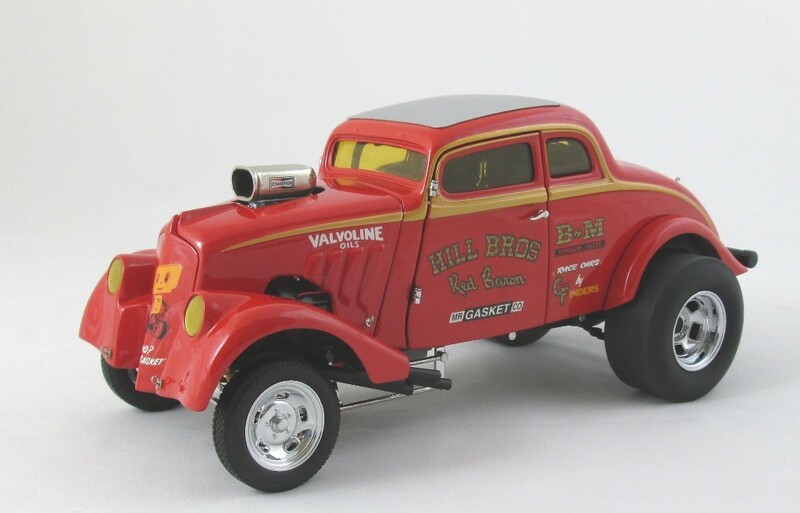 Precision Miniatures Stk# PRM 09 1933 Willys Gasser. 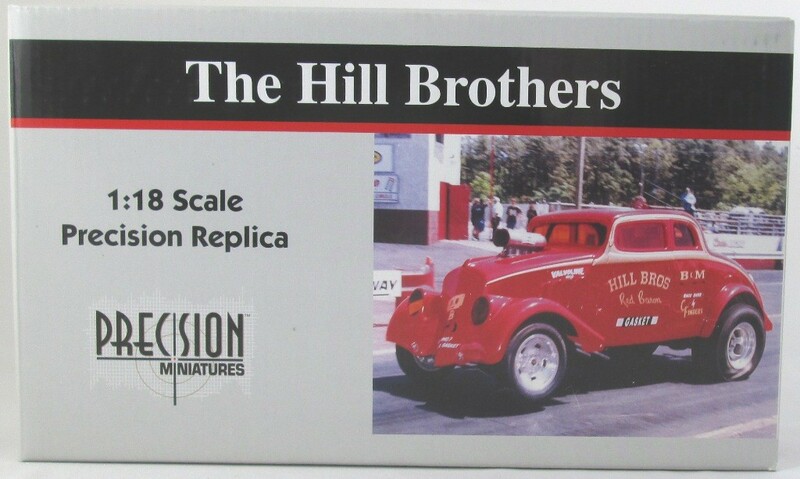 The Hills Brothers 1/18 diecast Super high detailed race car. 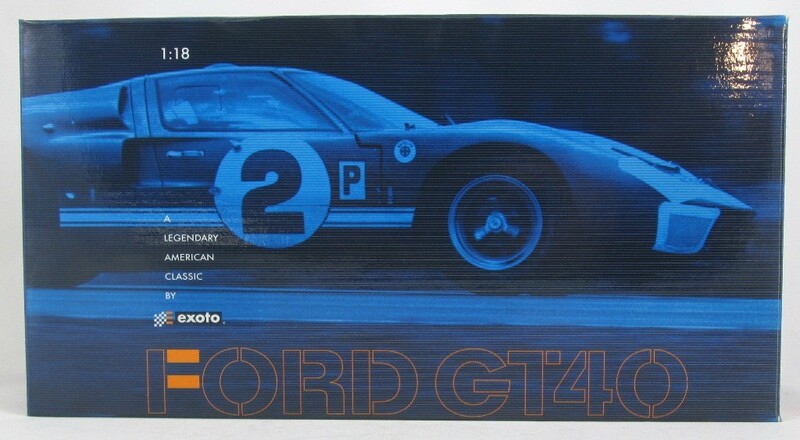 This is the original issue 2004. 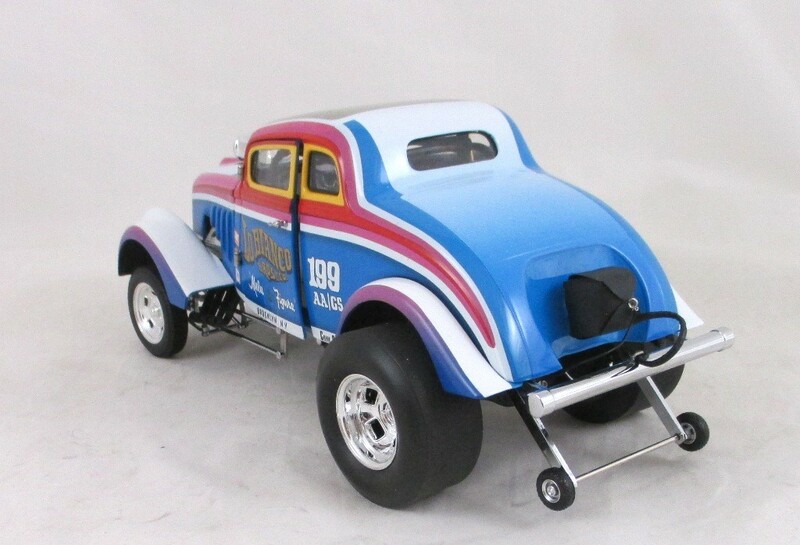 Acme Stk# A1800907 1933 Willys Gasser. 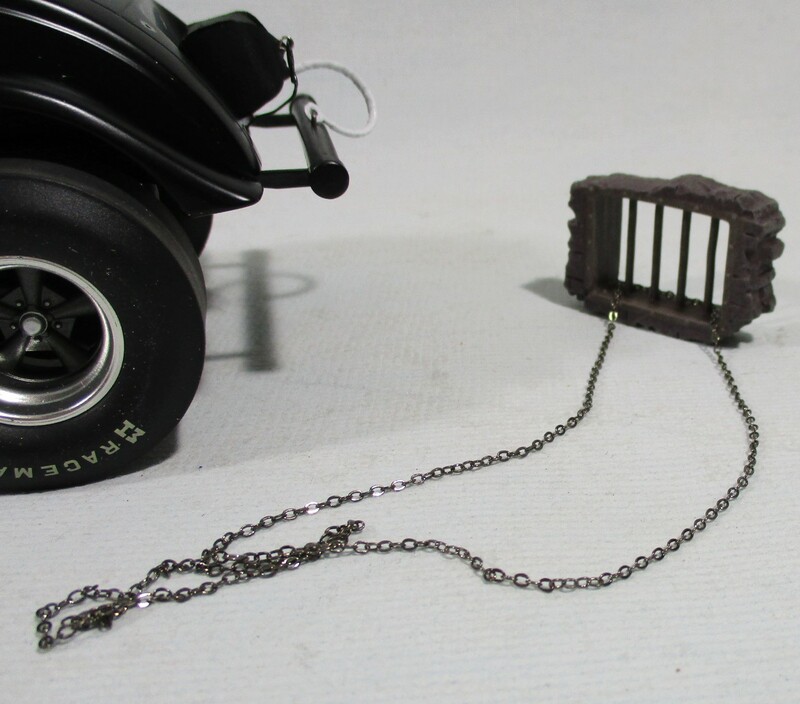 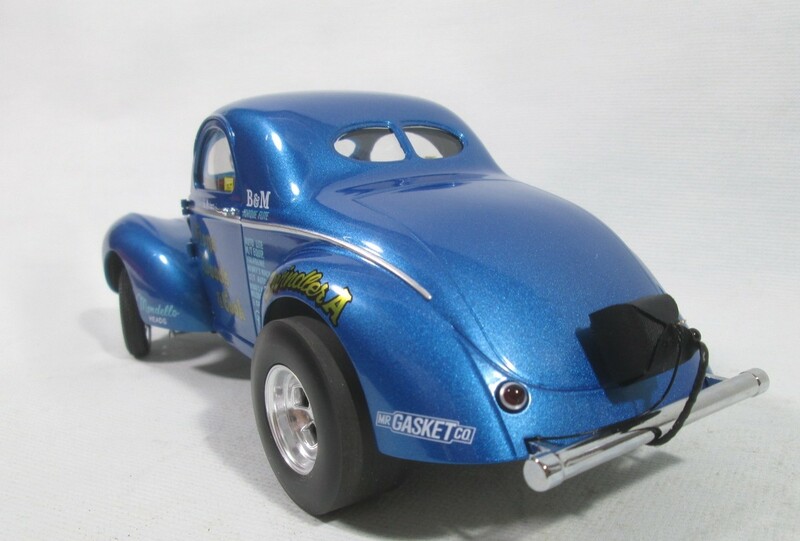 The Jailbreak 1/18 diecast super high detailed race car. 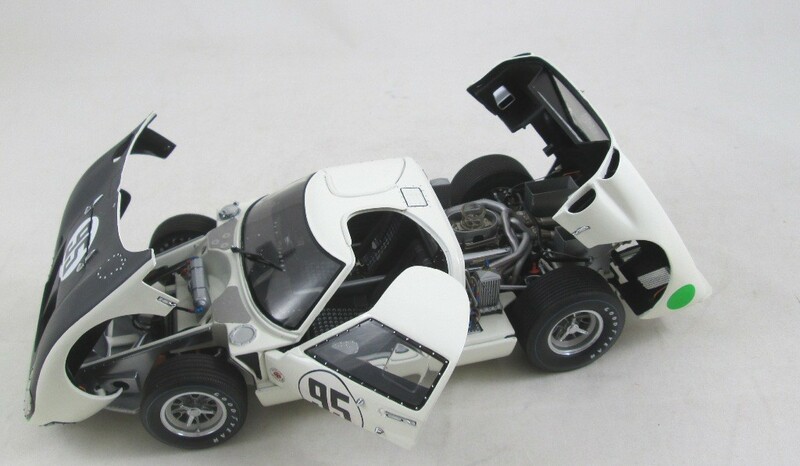 Only 960 made. 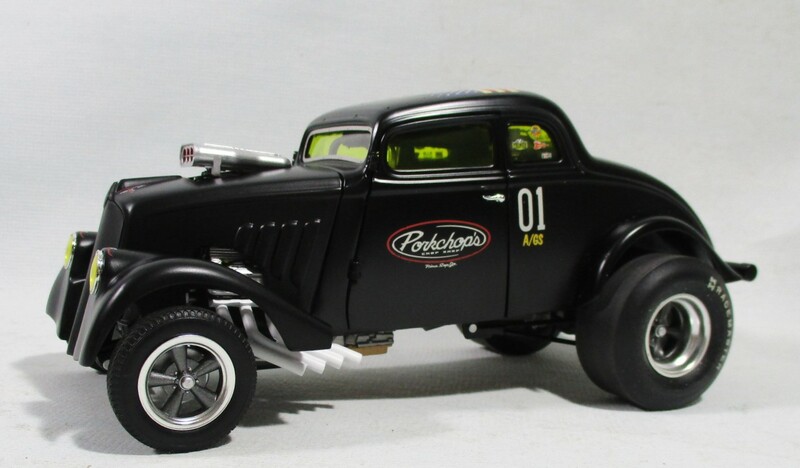 Acme Stk# A1800905K 1933 Willys Gasser. 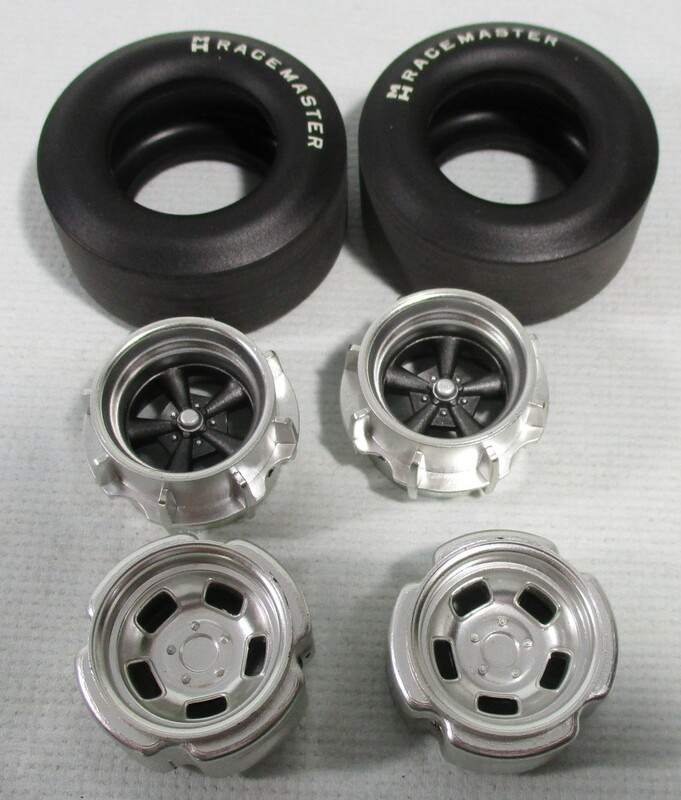 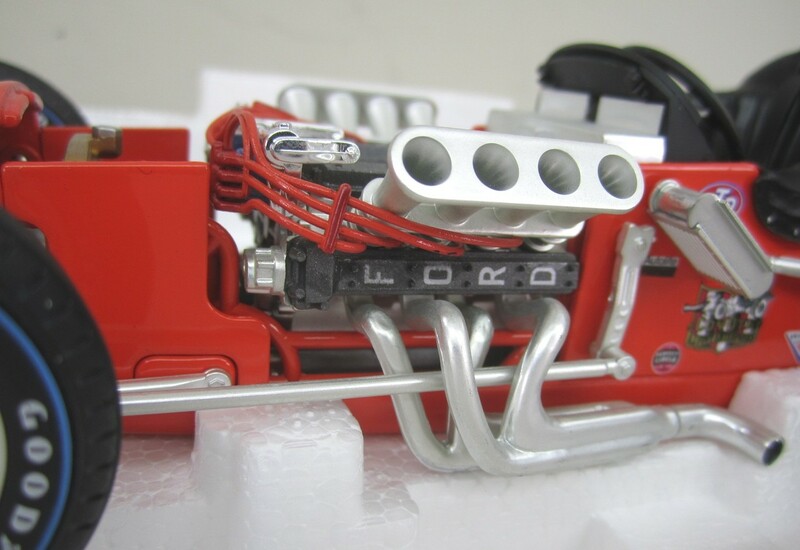 1/18 diecast super high detailed race car kit. 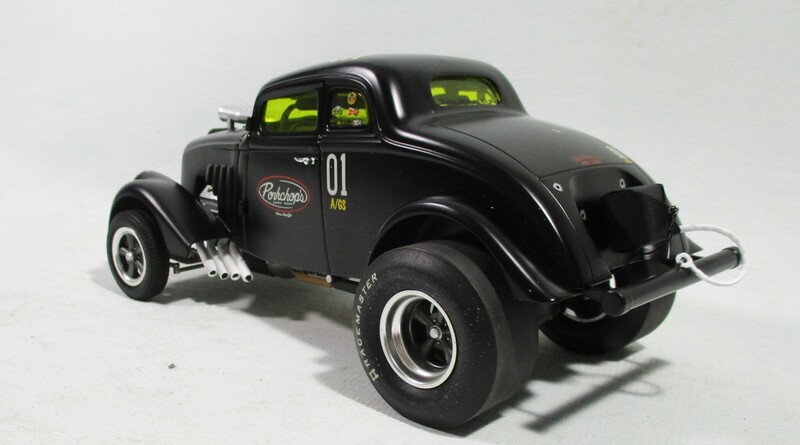 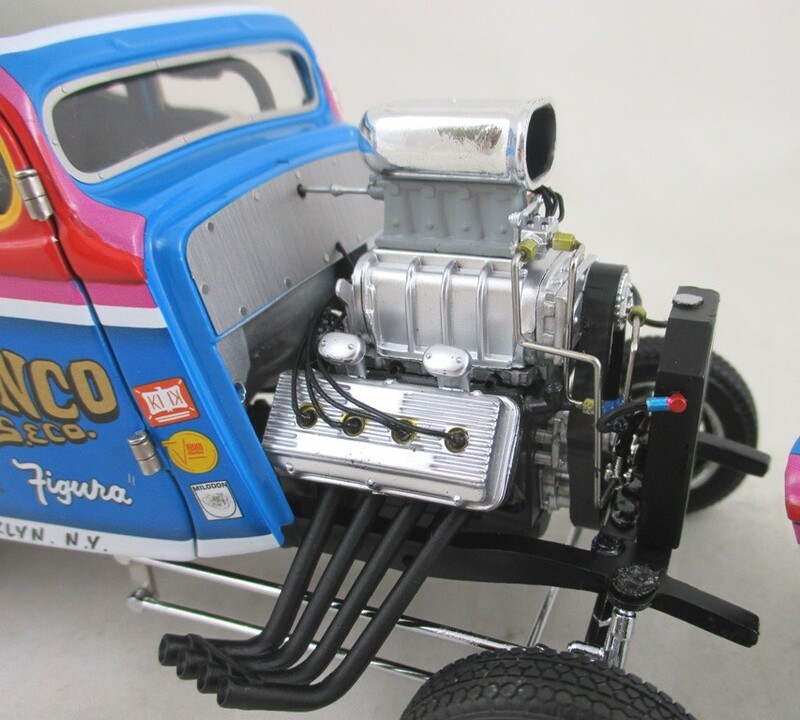 Acme Stk# 1800908 1941 Willys Gasser. 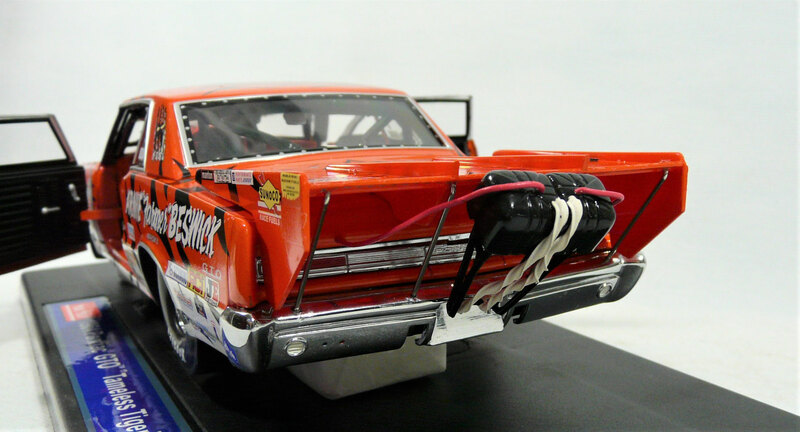 KS Pittman, S & S. 1/18 diecast Super high detailed race car. 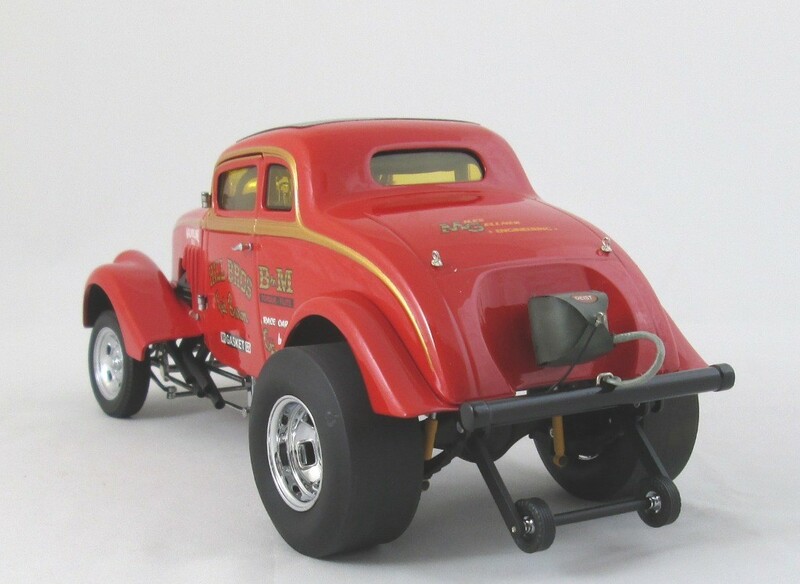 Acme Stk# 1800909 1941 Willys Gasser. 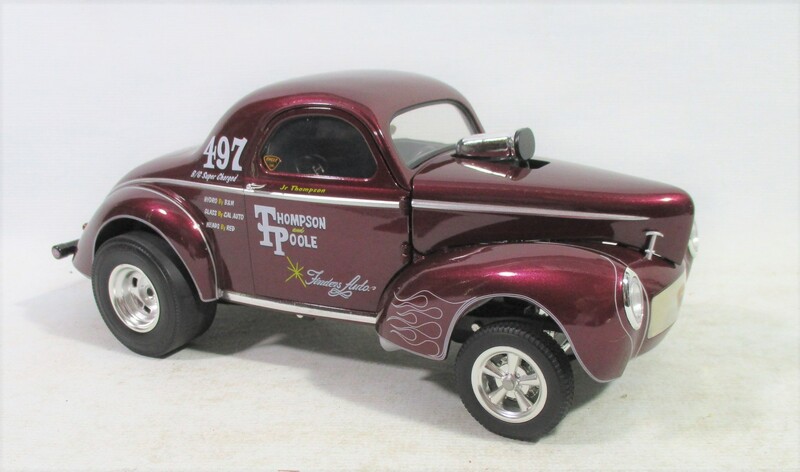 Thompson & Poole. 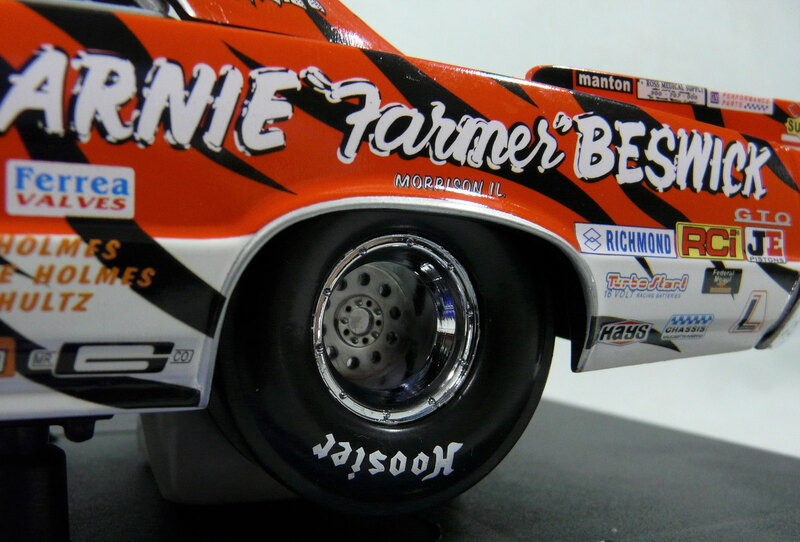 1/18 diecast Super high detailed race car. 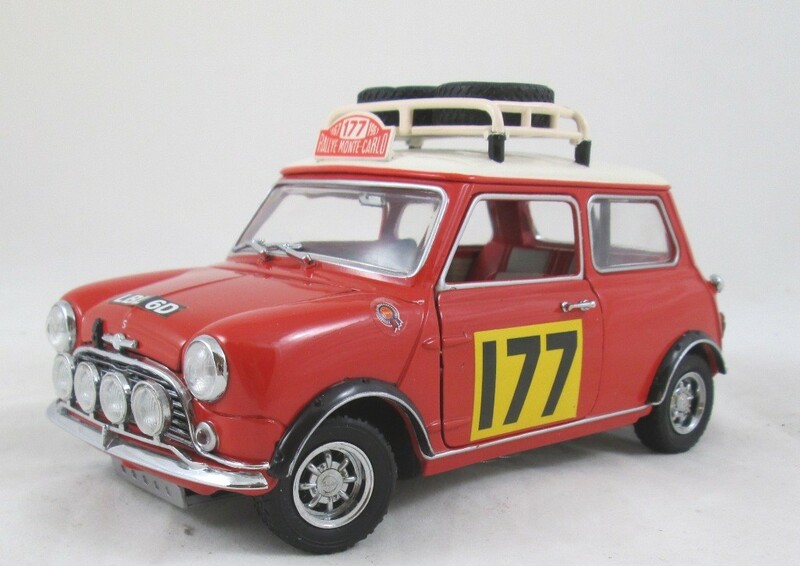 New in Mint Box, Never displayed, Opened only for photos. 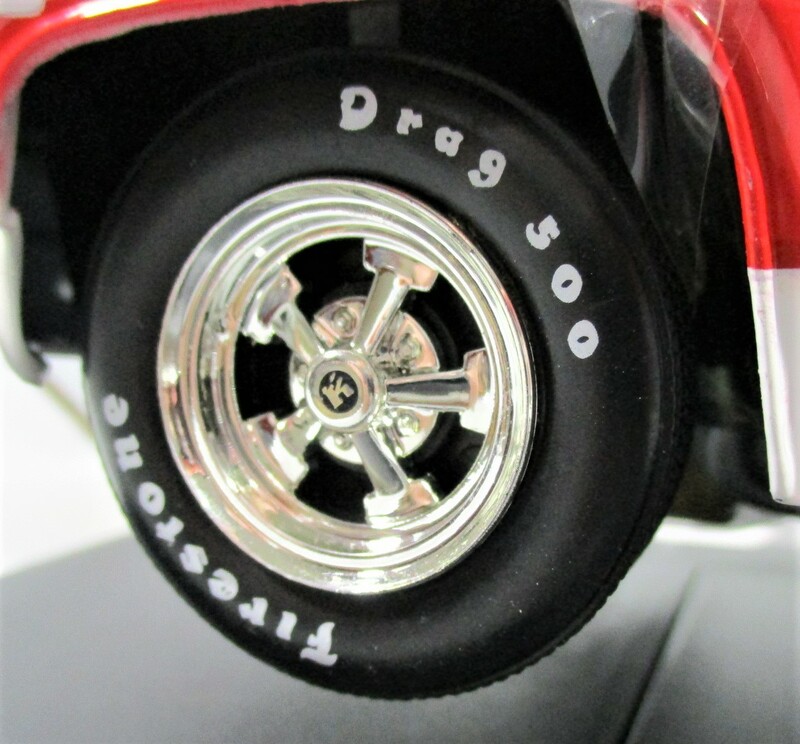 Only 600 made. 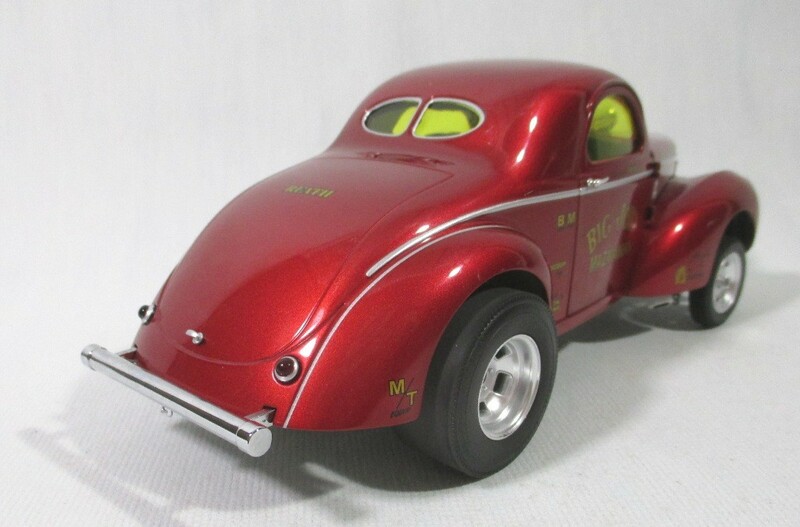 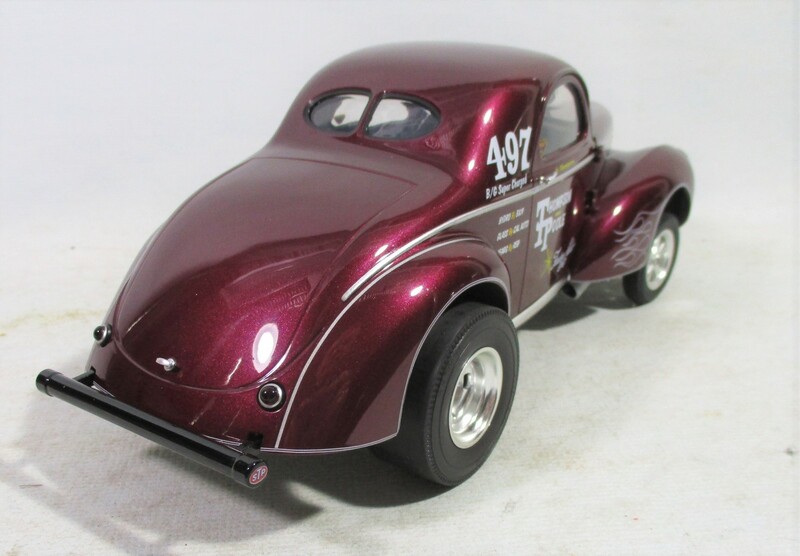 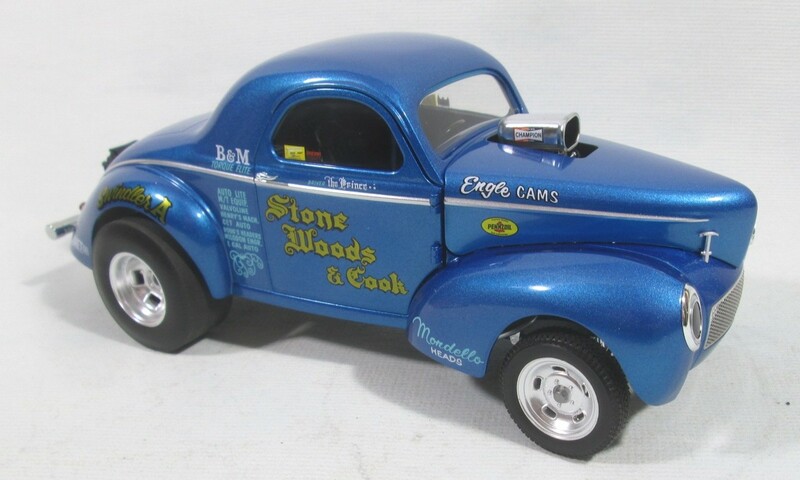 Acme Stk# 1800905 1941 Willys Gasser. 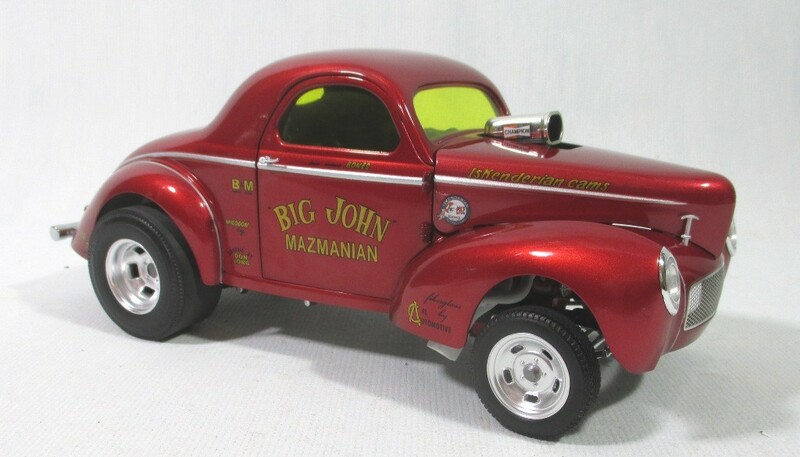 Big John Mazmanian. 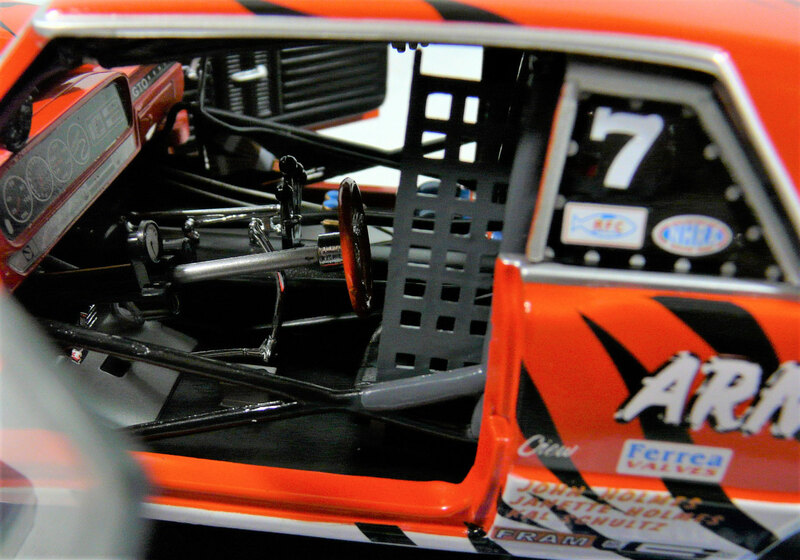 1/18 diecast Super high detailed race car. 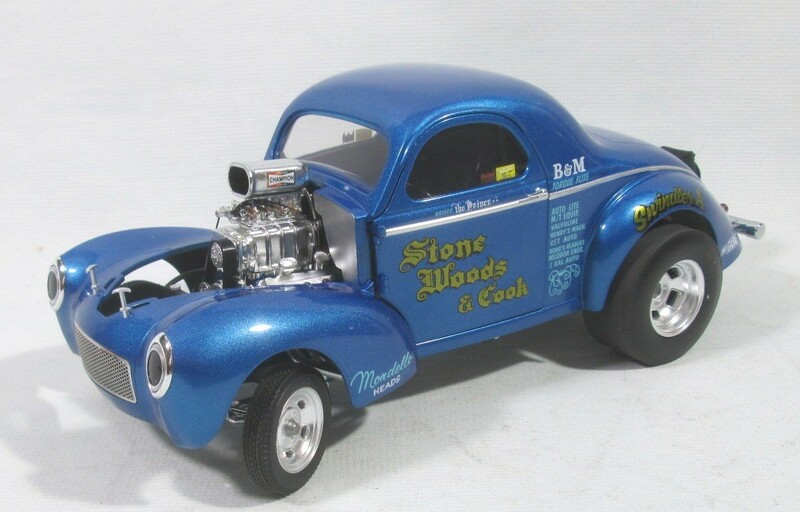 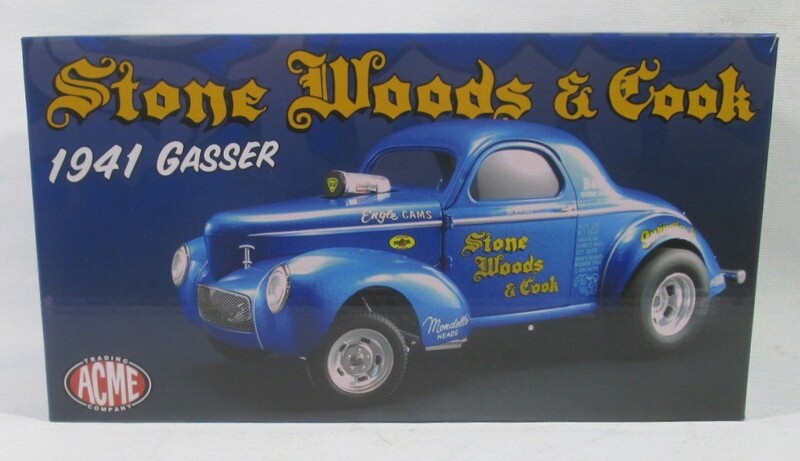 Acme Stk# 1800906 1941 Willys Gasser.Stone Woods and Cook. 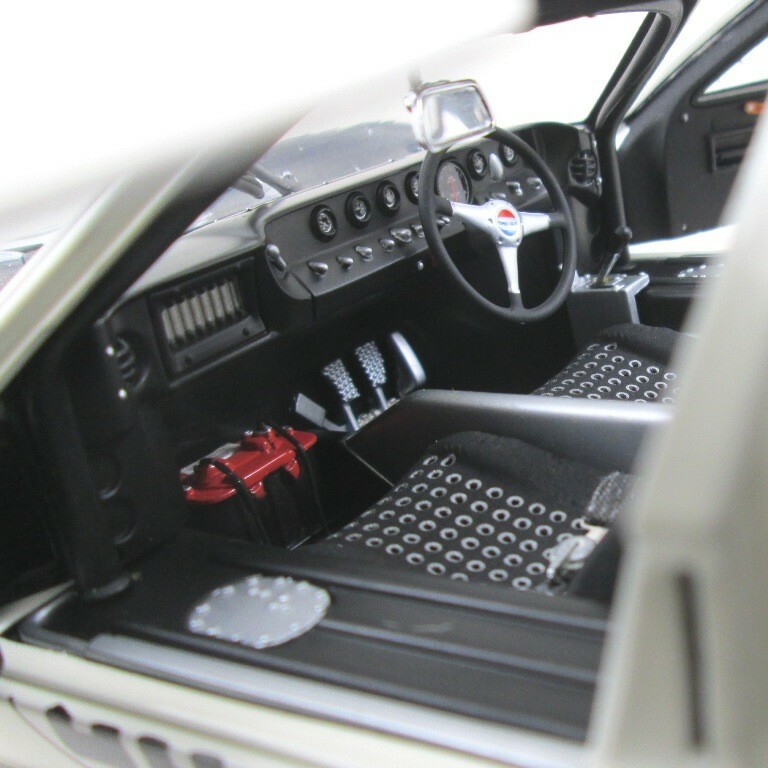 1/18 diecast Super high detailed race car. 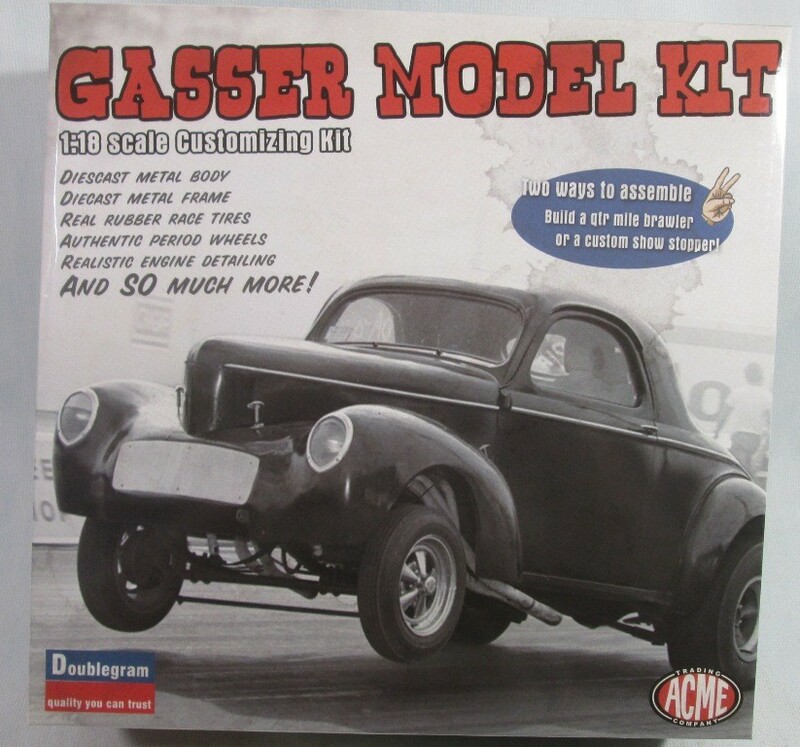 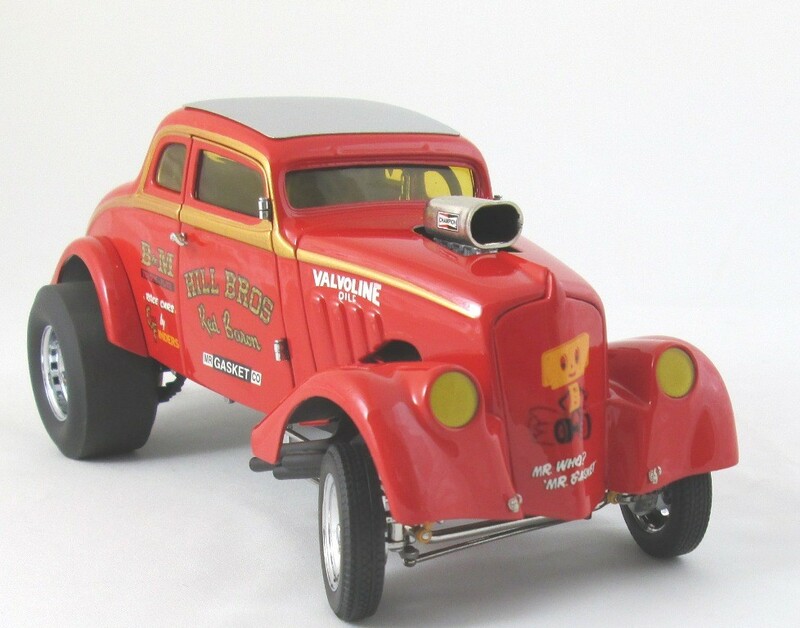 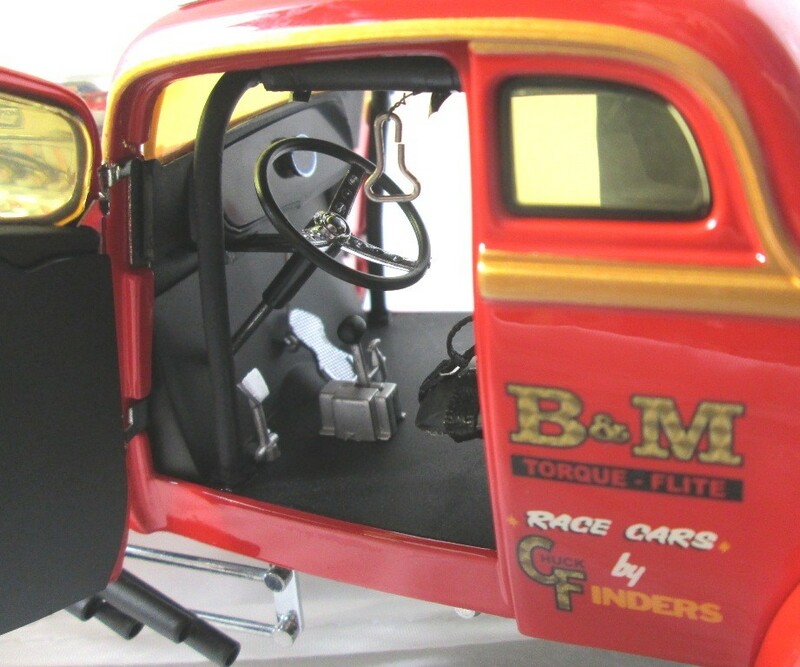 Acme Stk# 1800904 1941 Willys Gasser kit. 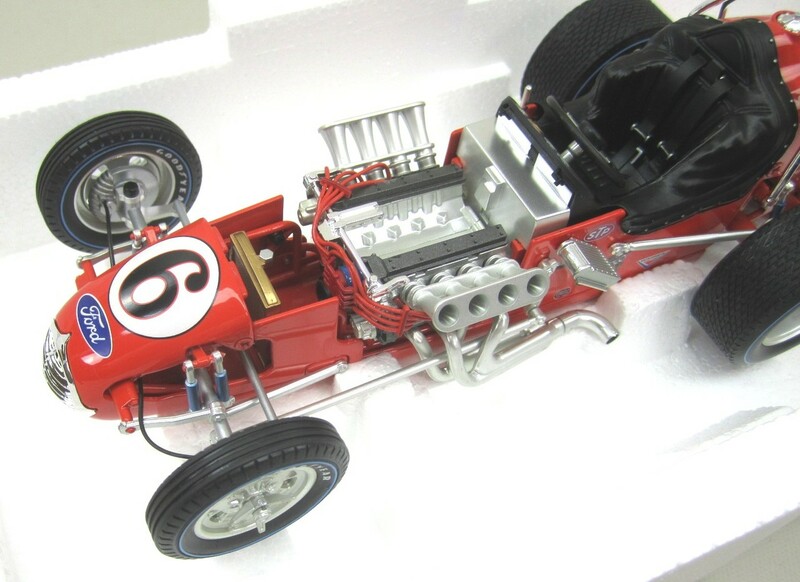 1/18 diecast Super high detailed race car. 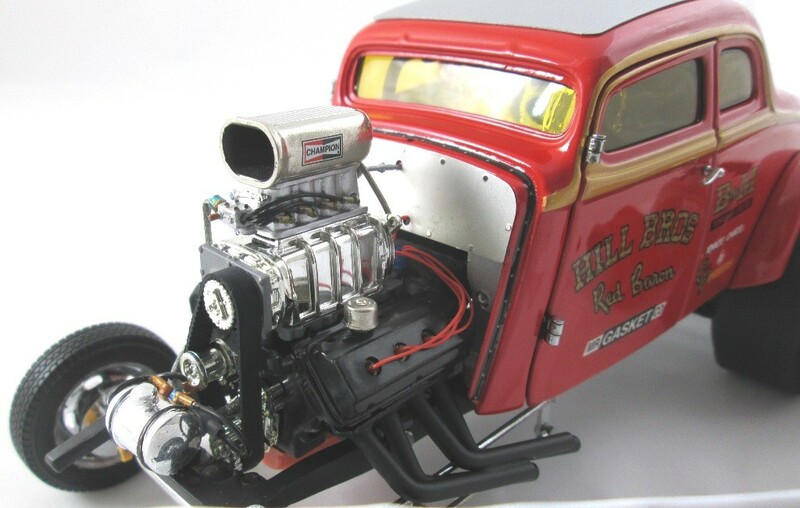 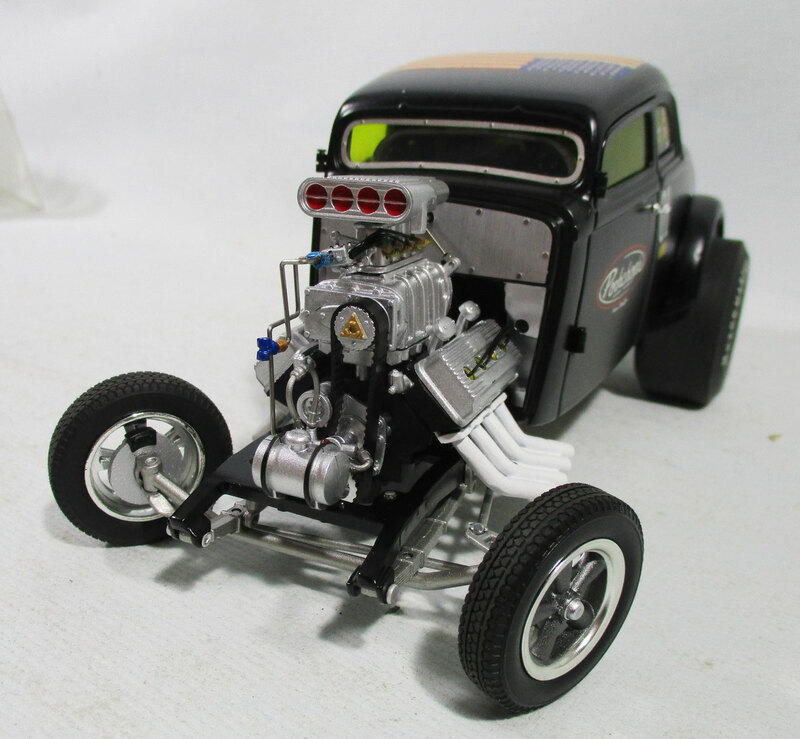 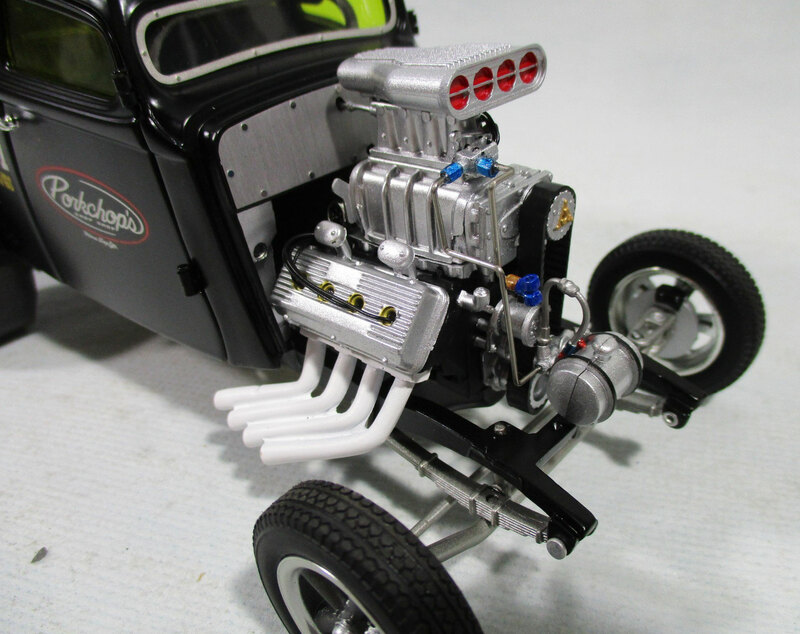 Includes A complete Blown Hemi engine and a complete Blown small block Chevy engine. 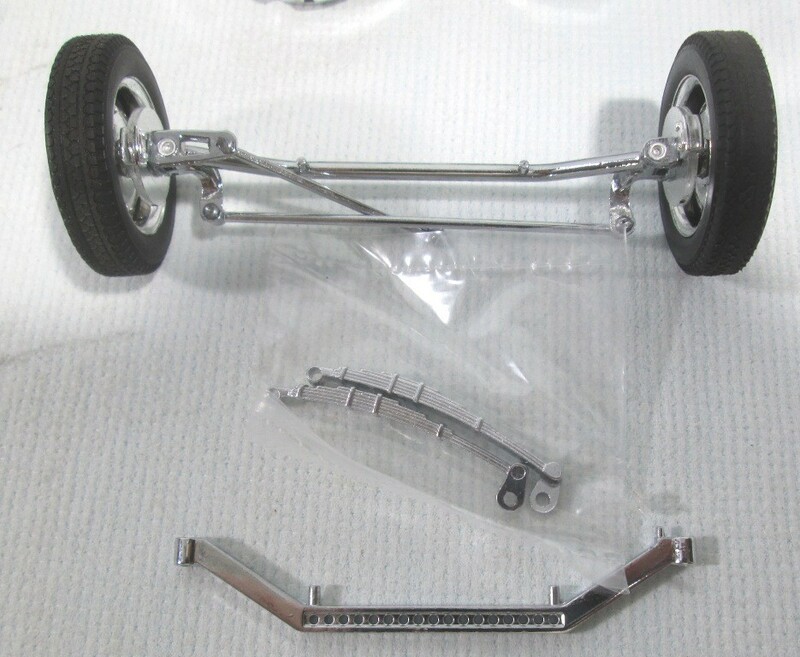 Choice of two rear wheel option and two front axle options. 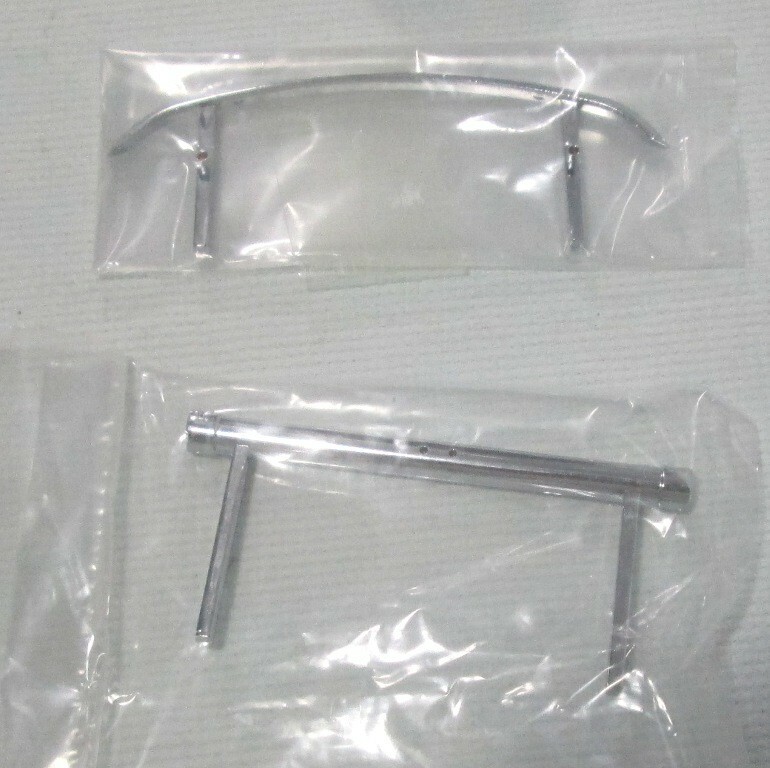 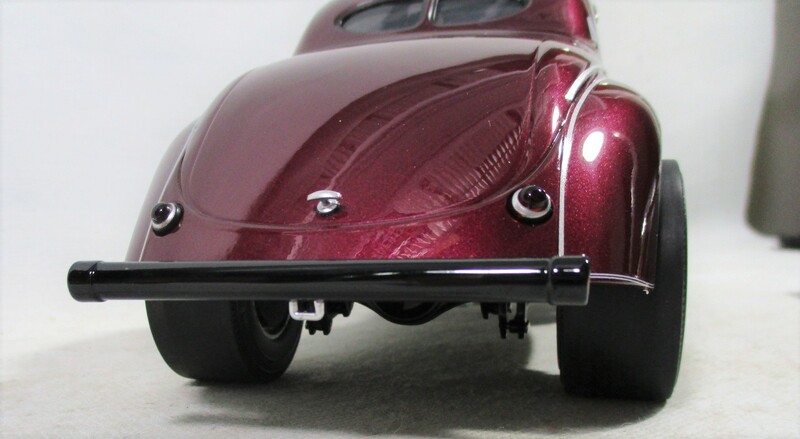 Also choice of a Willys rear bumper or a chrome push bar. 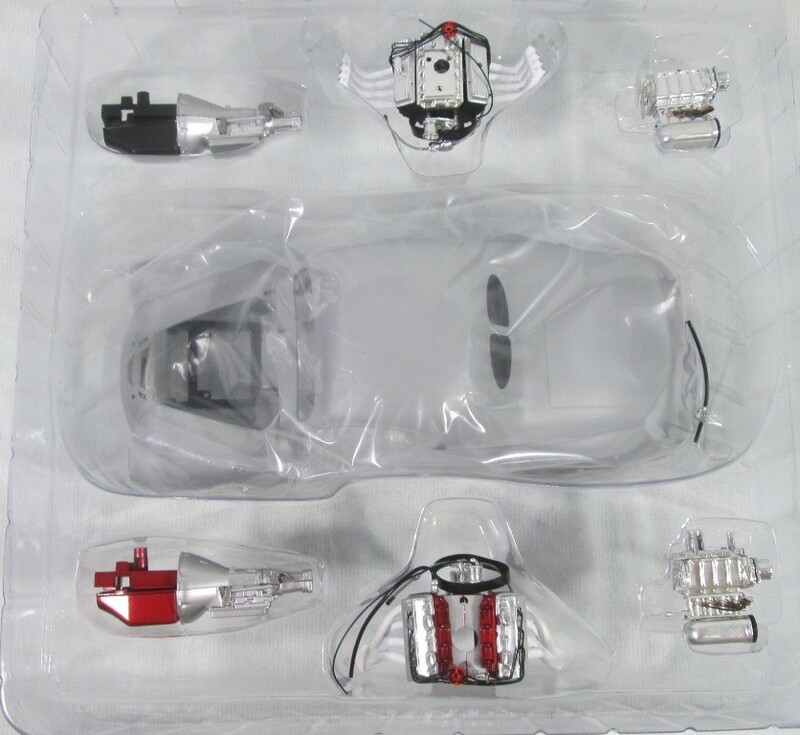 You will receive a New in Mint Box, Never Opened kit. 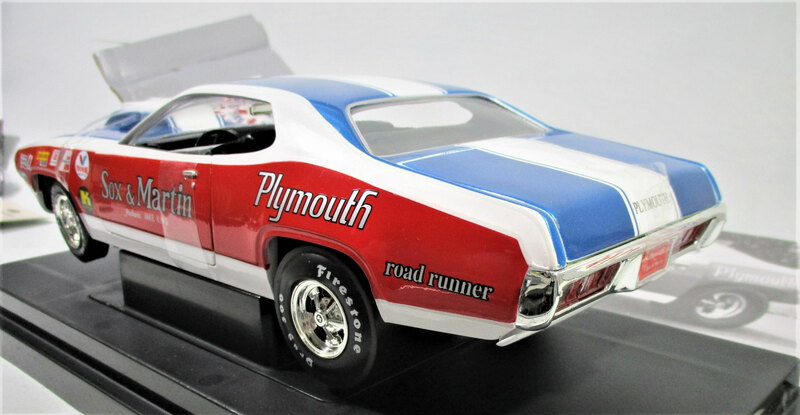 Ertl Stk# 29354, 1971 Plymouth Roadrunner Sox & Martin drag car in 1/18 (11 in long) die-cast Metal. 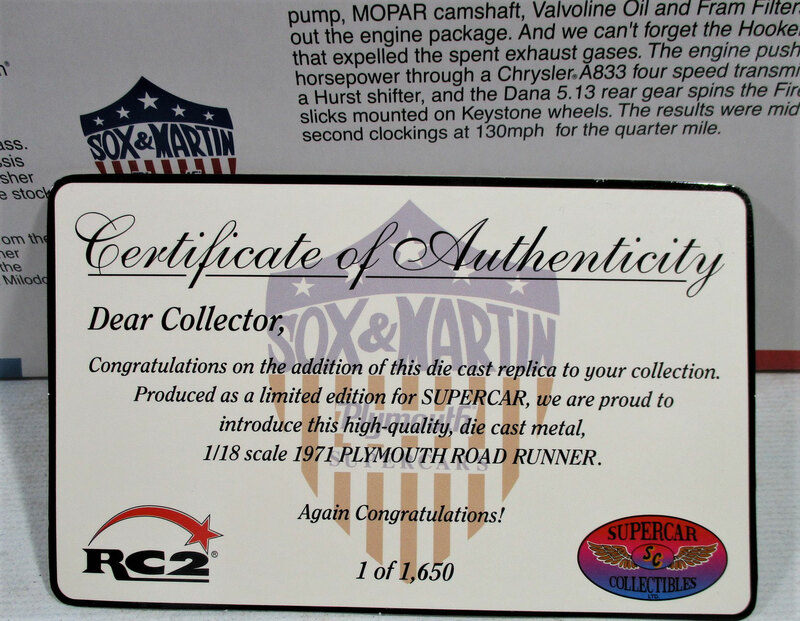 Sox & Martin Pro Stock Series #4 made for Supercar Collectibles. 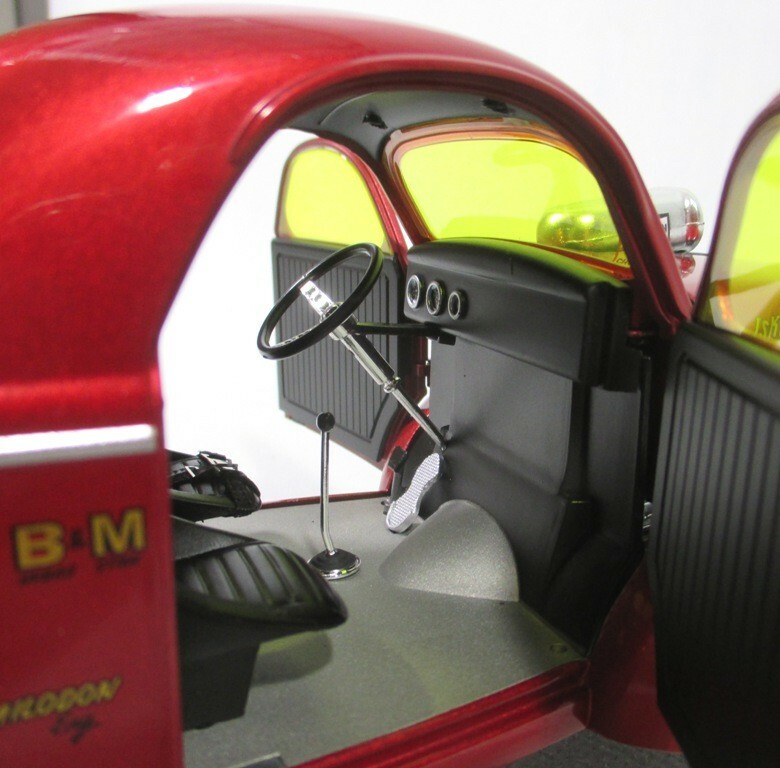 Opening hood and Doors. 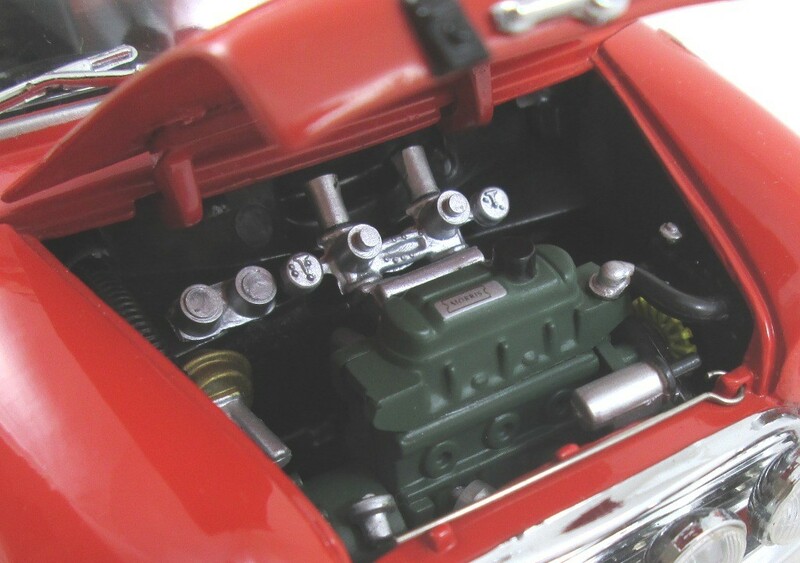 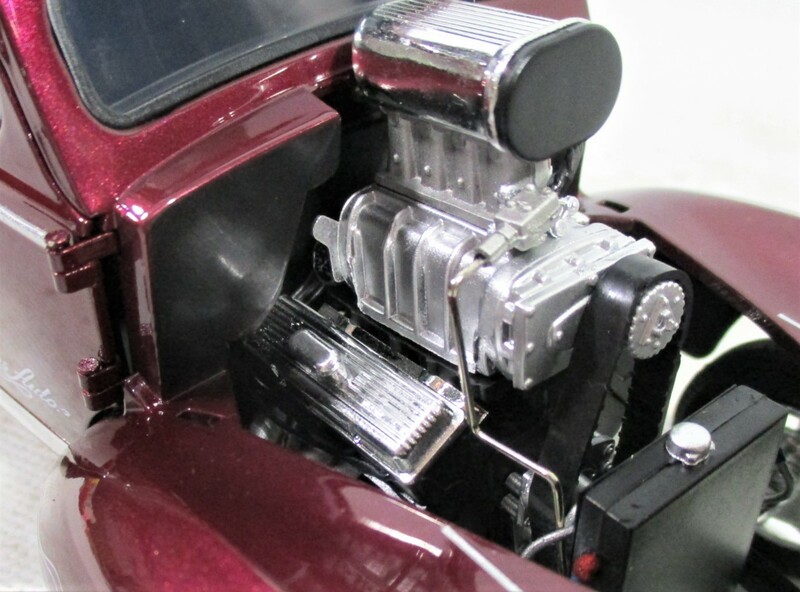 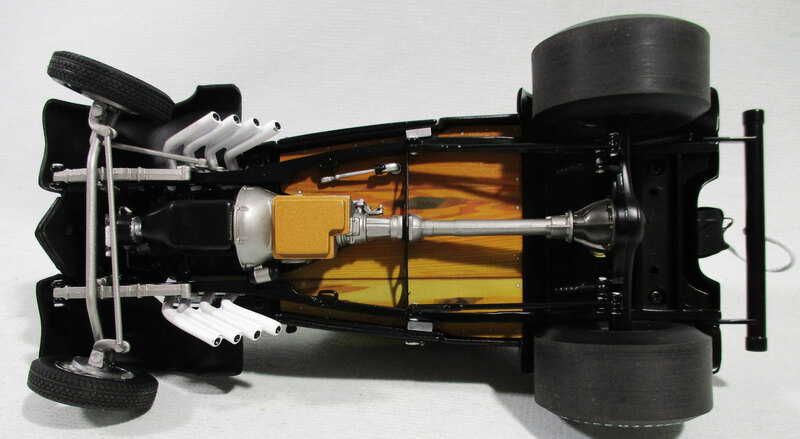 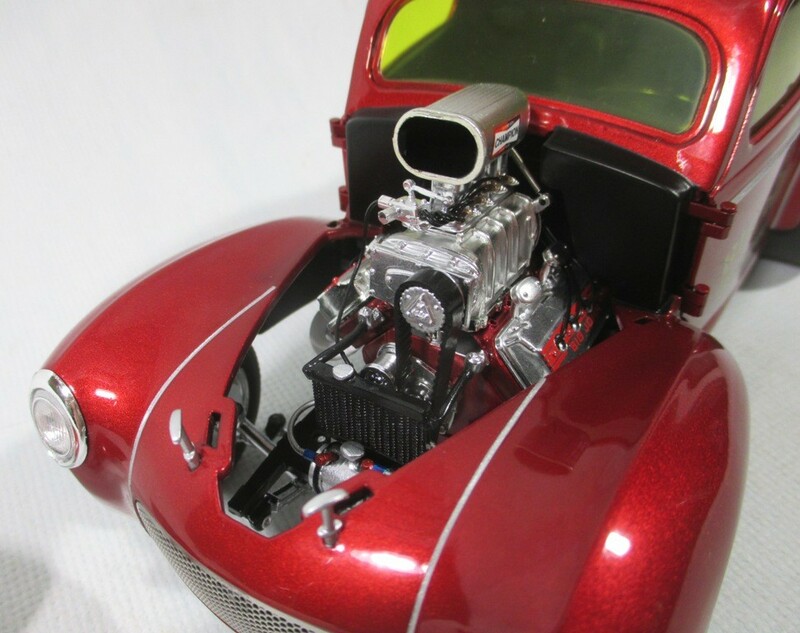 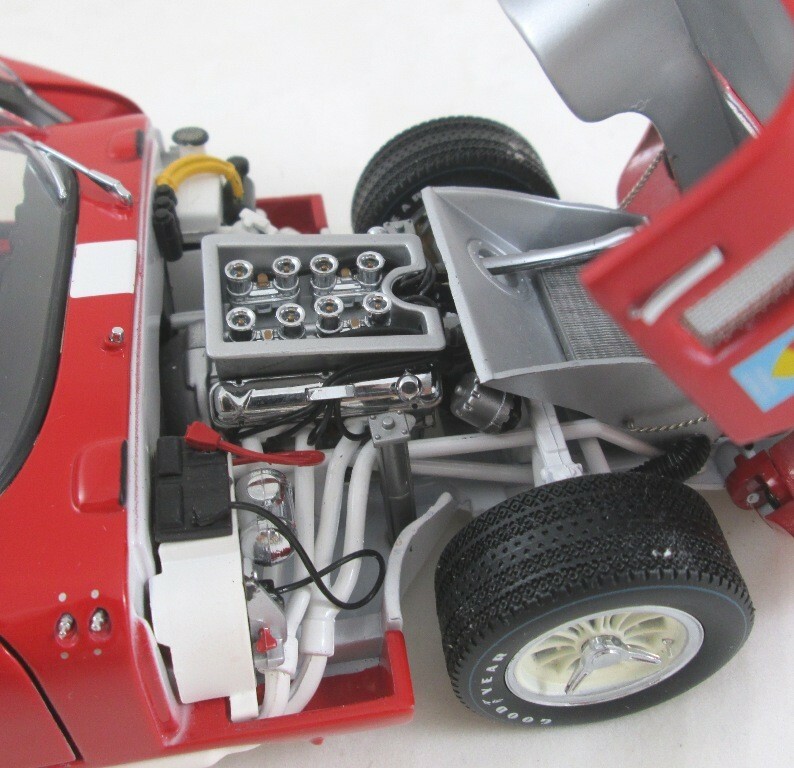 Detailed 426 Hemi Engine and Chassis. 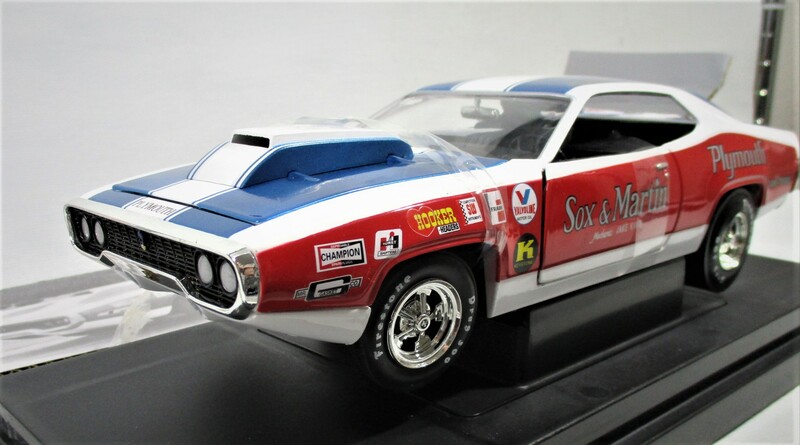 Ertl American Muscle Stk# 33913, 1971? 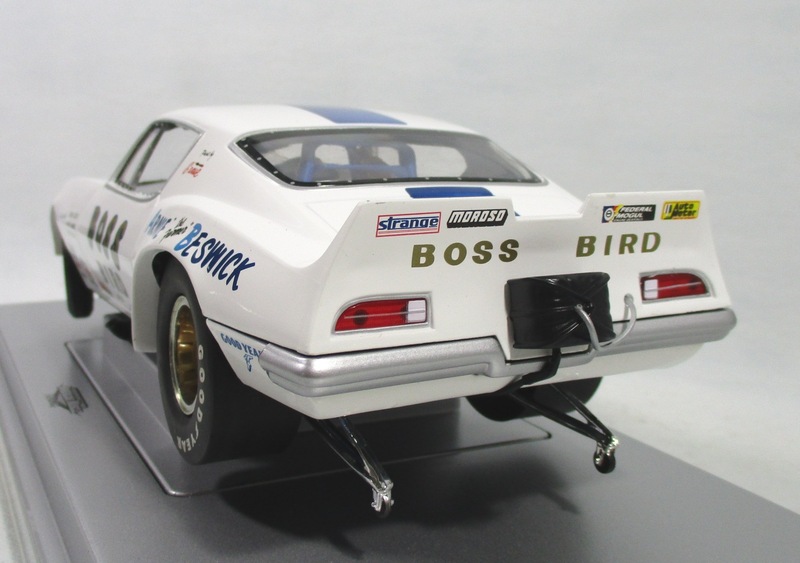 Pontiac Firebird Funny car driven by Arnie Beswick in 1/18 (10 in long). 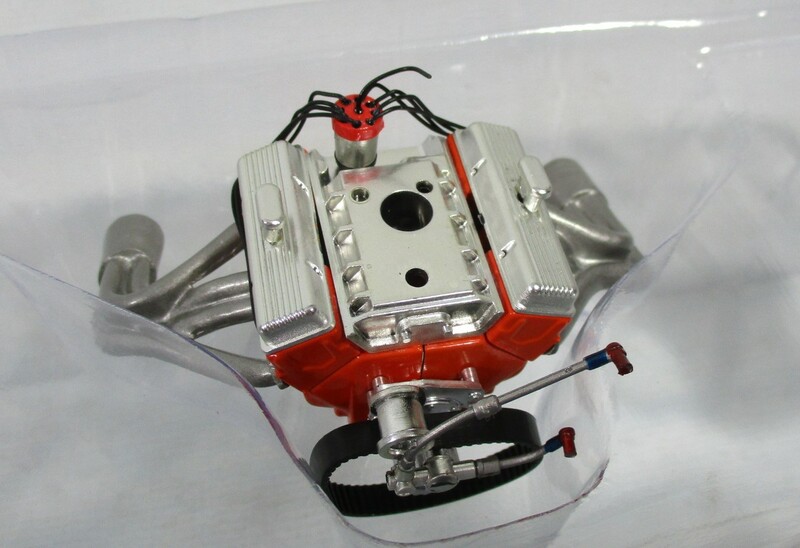 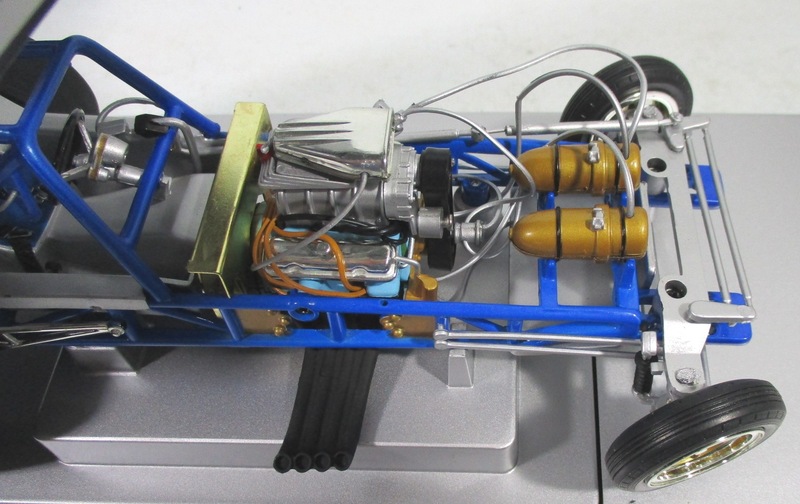 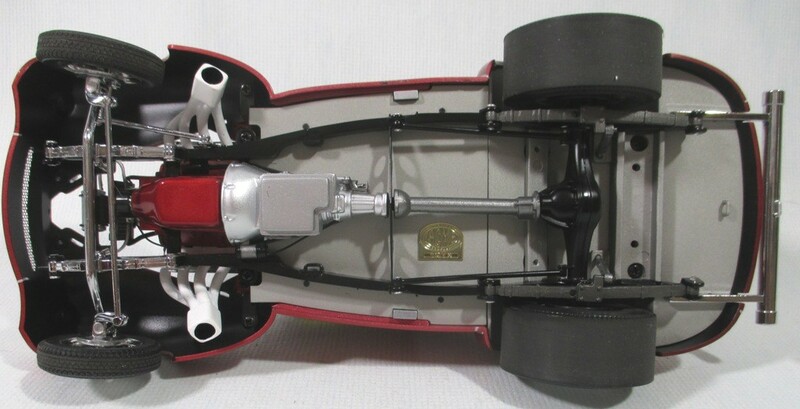 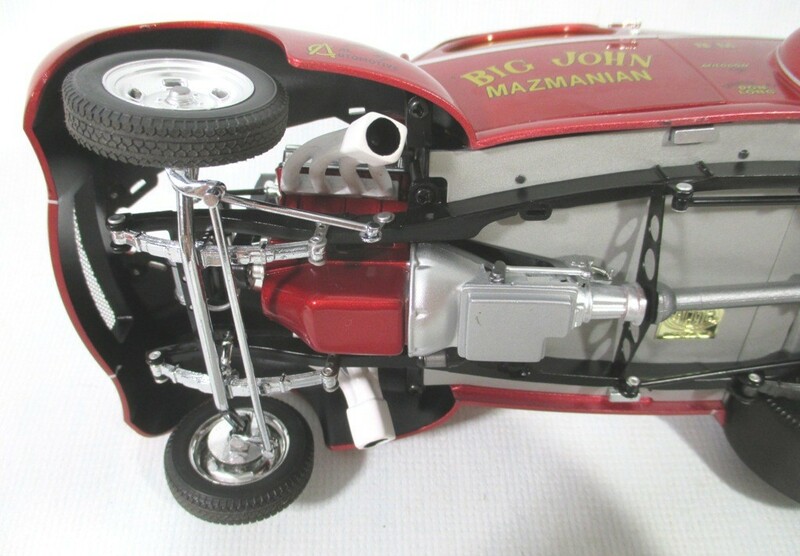 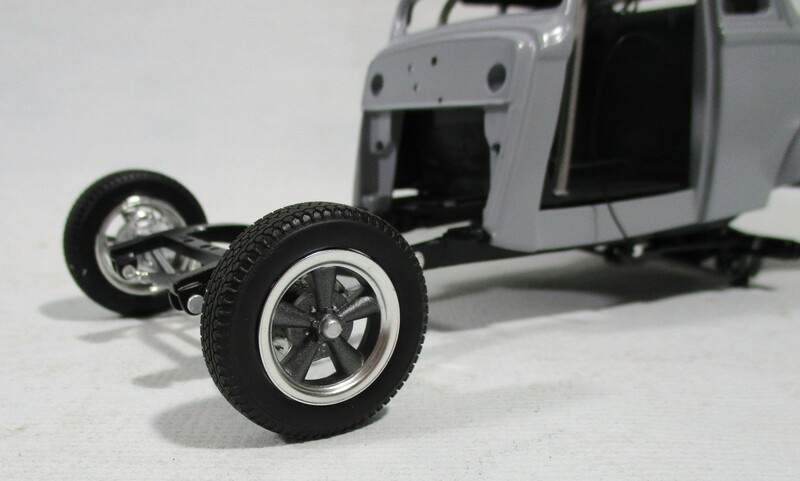 Lift up plastic body with detailed engine, steerable wheels and diecast frame. 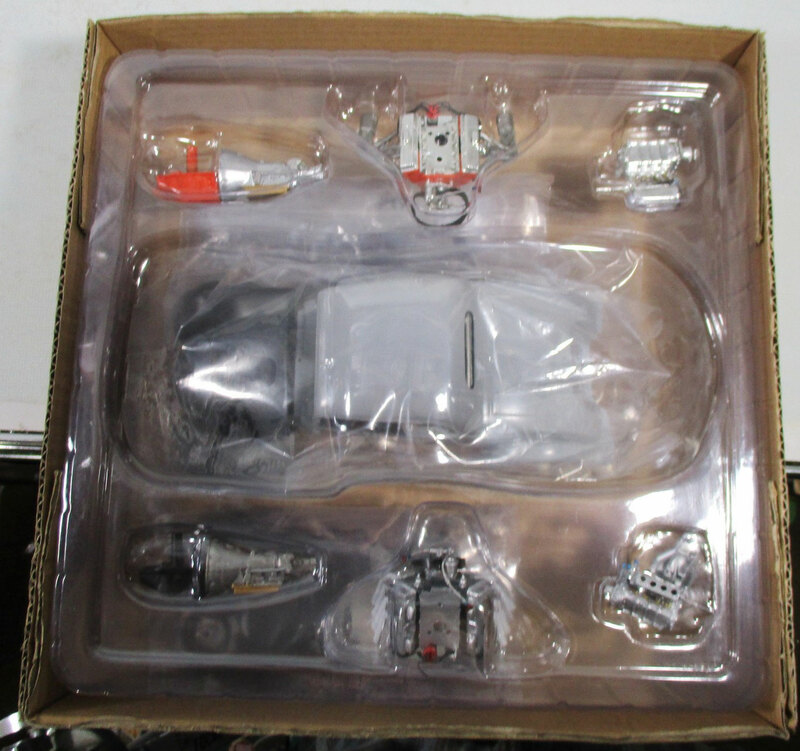 New in Clean box, Opened only for photos. 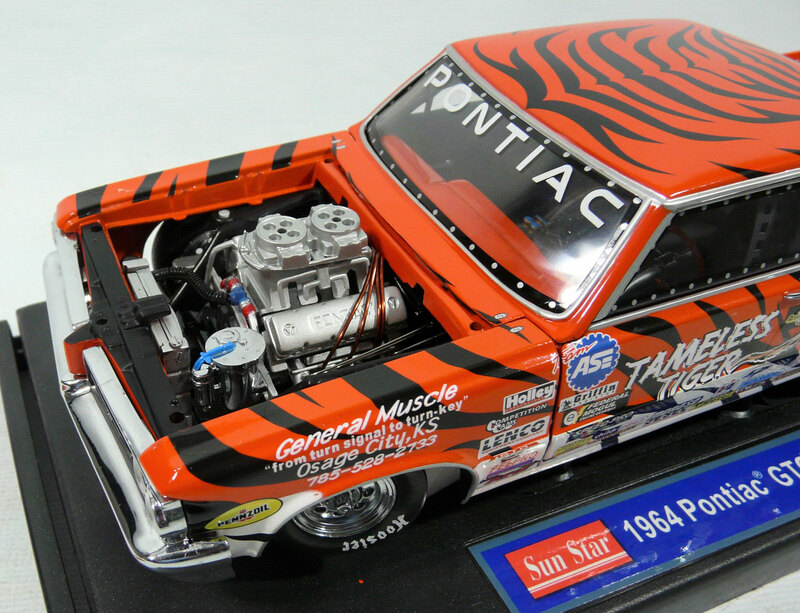 Sun Star Stk# 1831, 1964 Pontiac GTO Tameless Tiger Funny car driven by Arnie Beswick in 1/18 (11 in long). 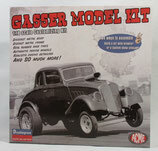 Lift off hood with detailed engine, steerable wheels. 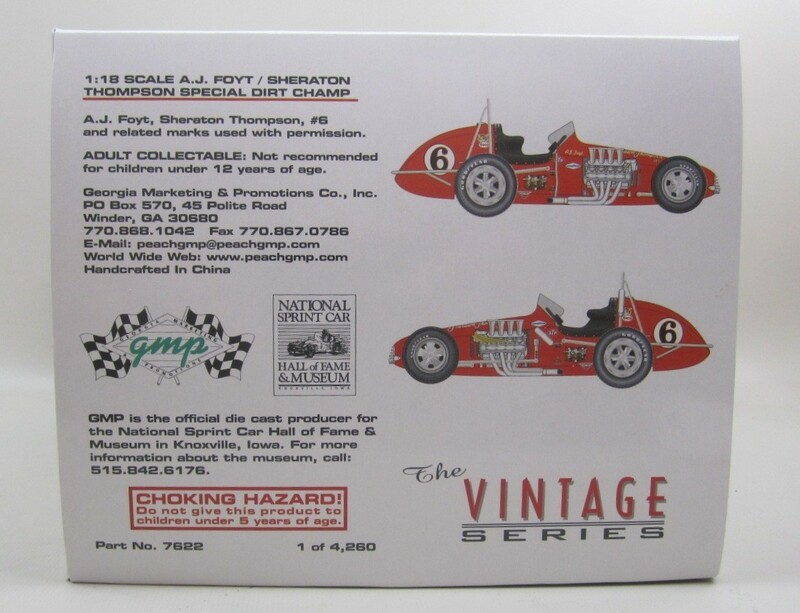 Ages 14+, No 4 in the Commemorative Series. 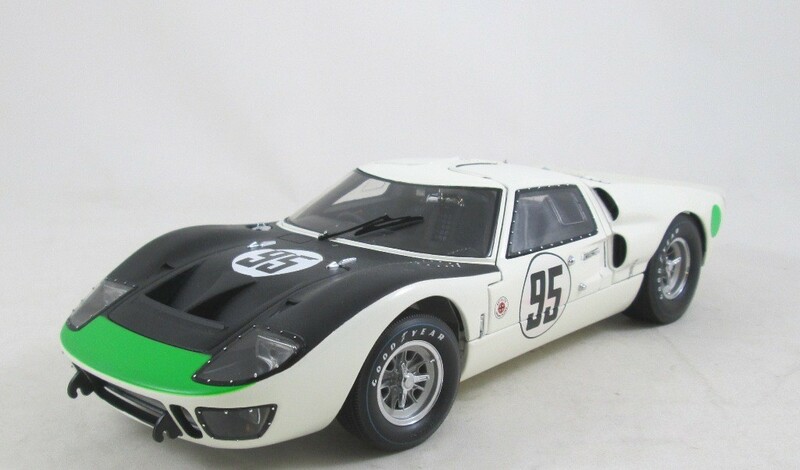 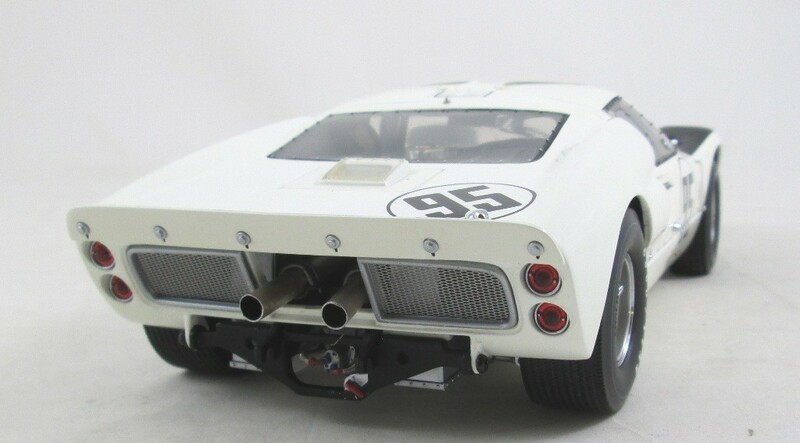 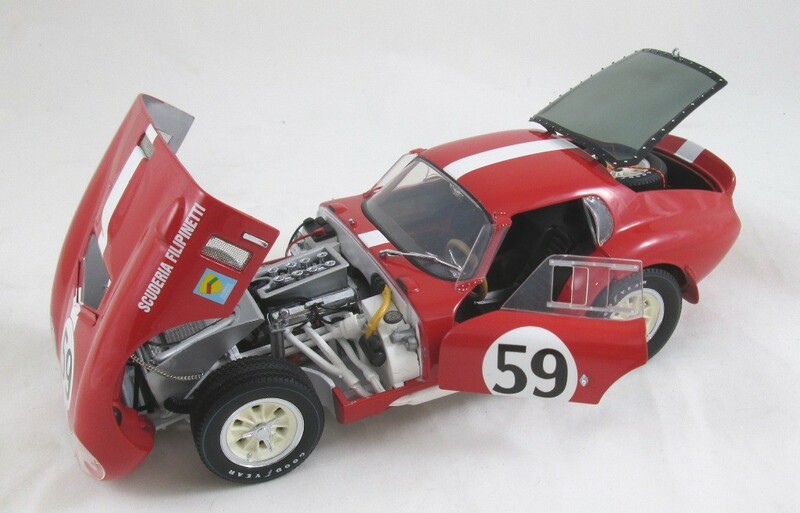 Exoto Stk# 18043 Ford GT40 MkII 1966 Walter Hansgen / Mark Donohue race car. 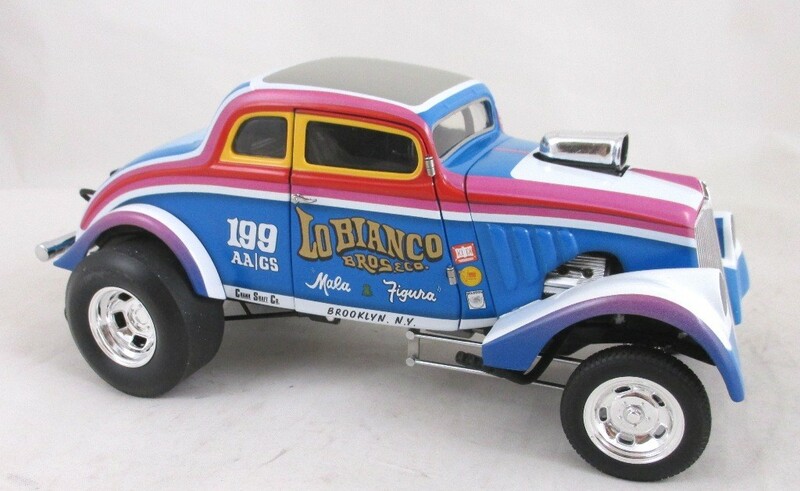 New in box, Opened for photos. 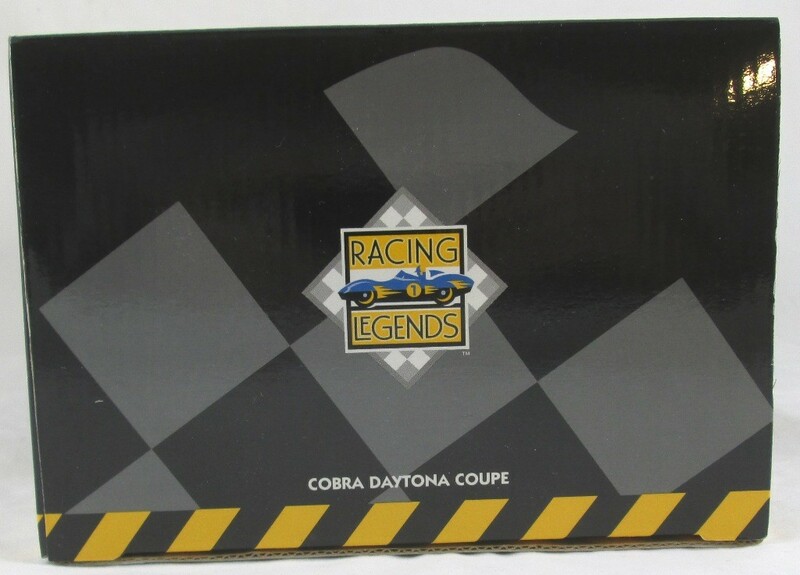 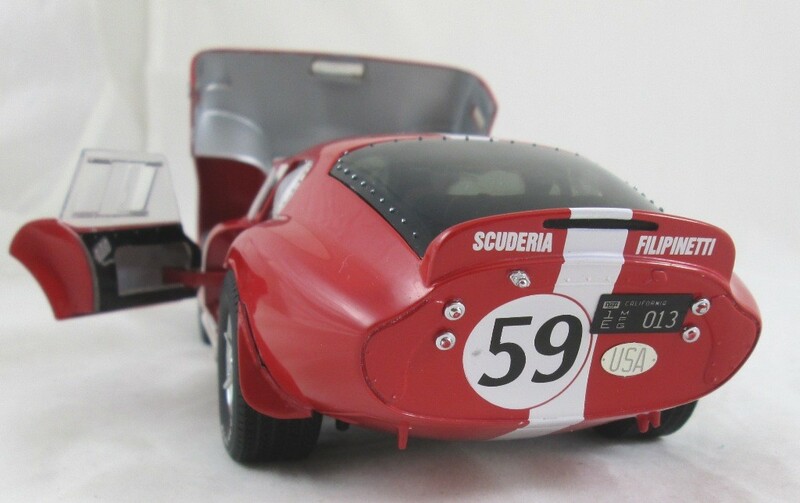 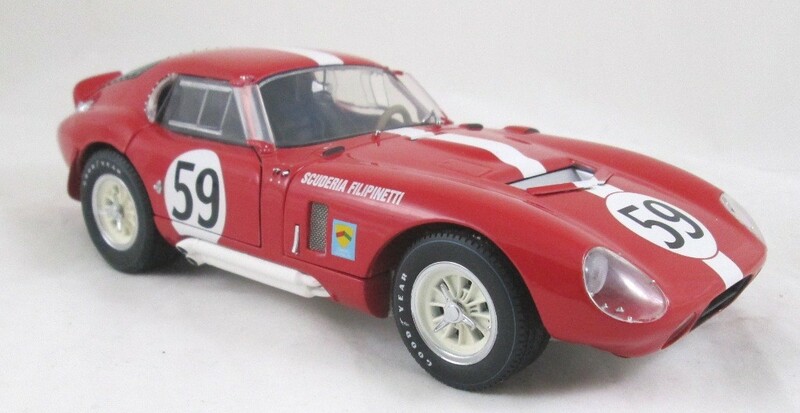 Exoto Racing Legends Stk# 18004 Cobra Daytona Coupe race car in 1/18 diecast. 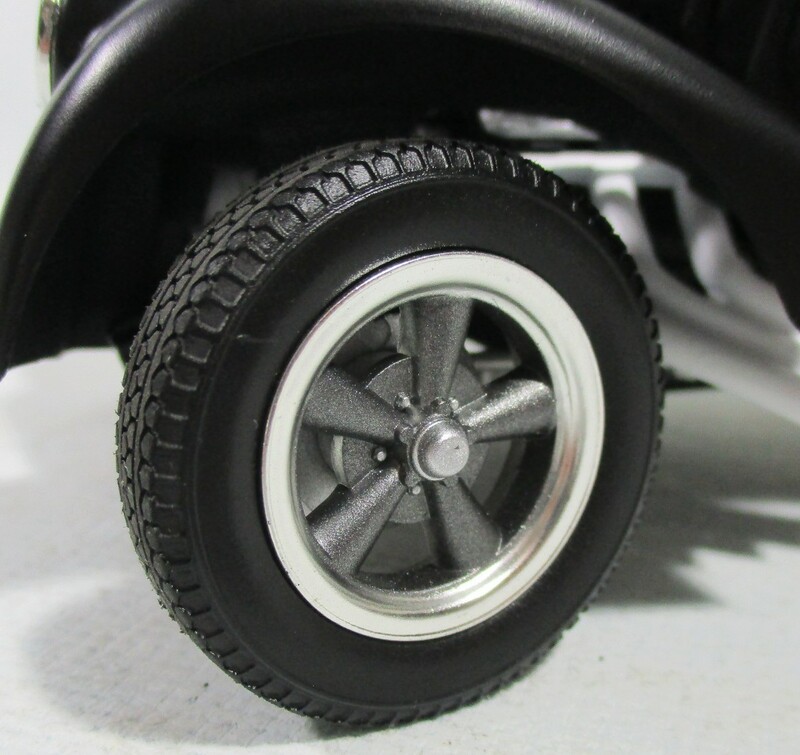 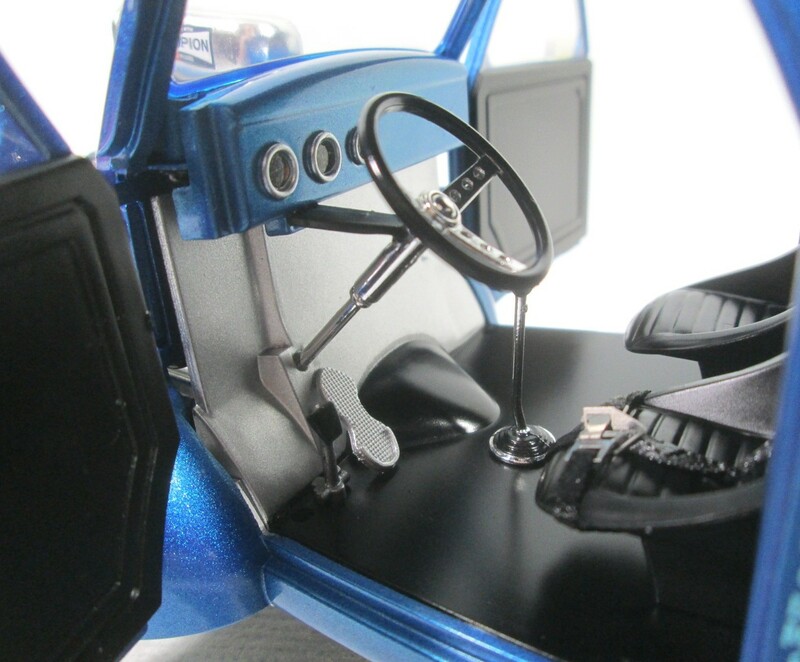 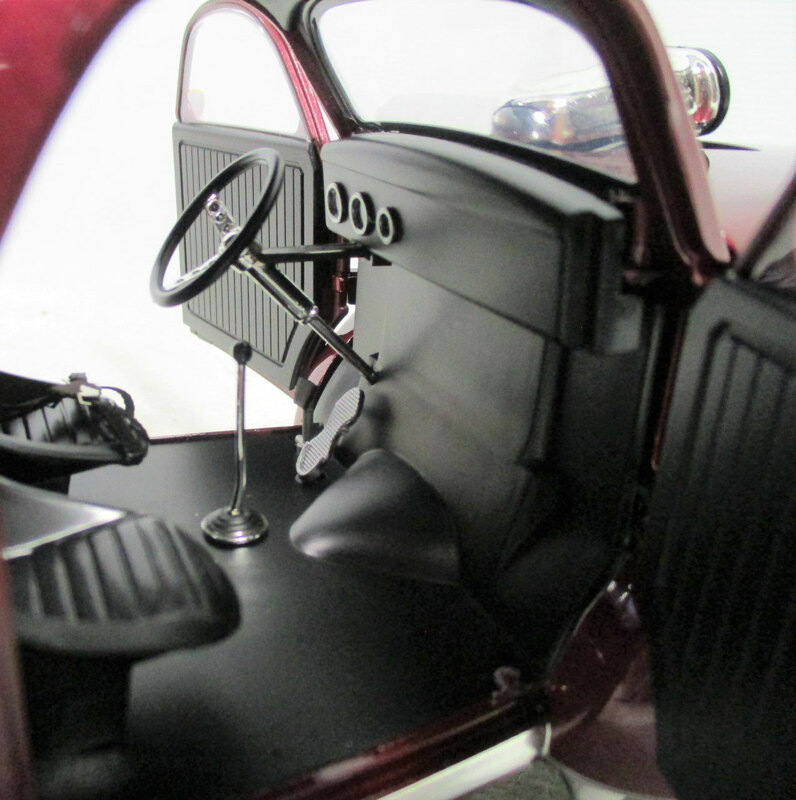 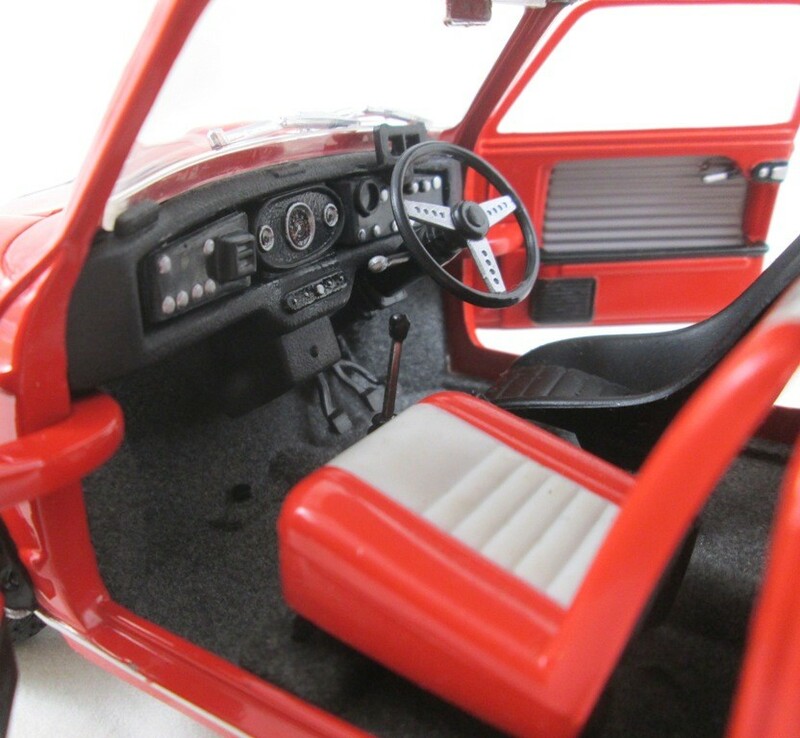 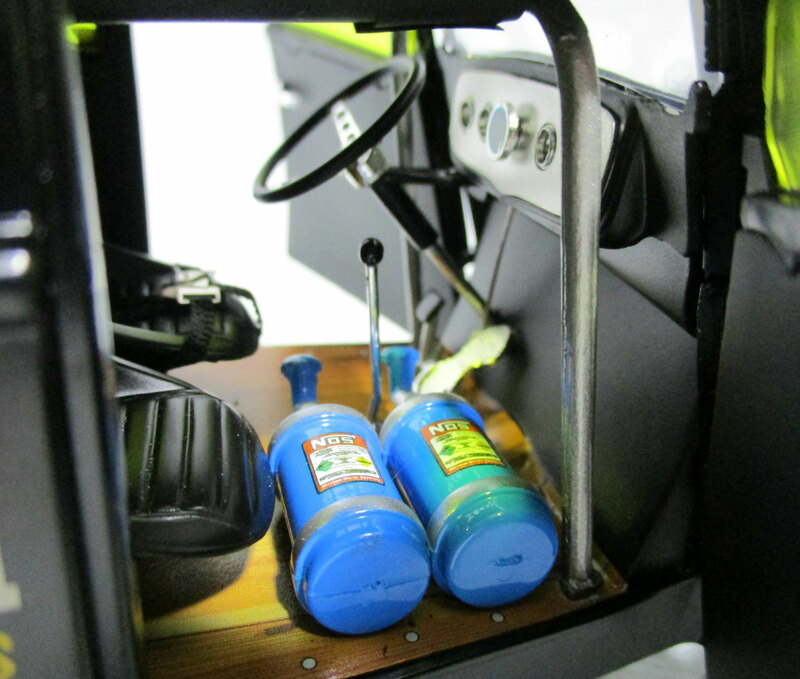 Very detailed with opening hood, doors and rear hatch. 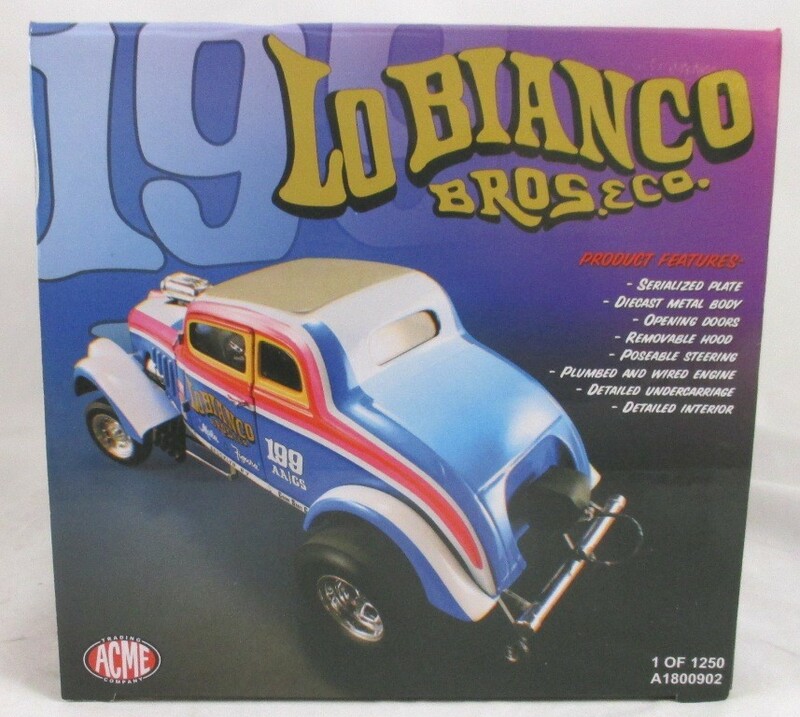 New in box. 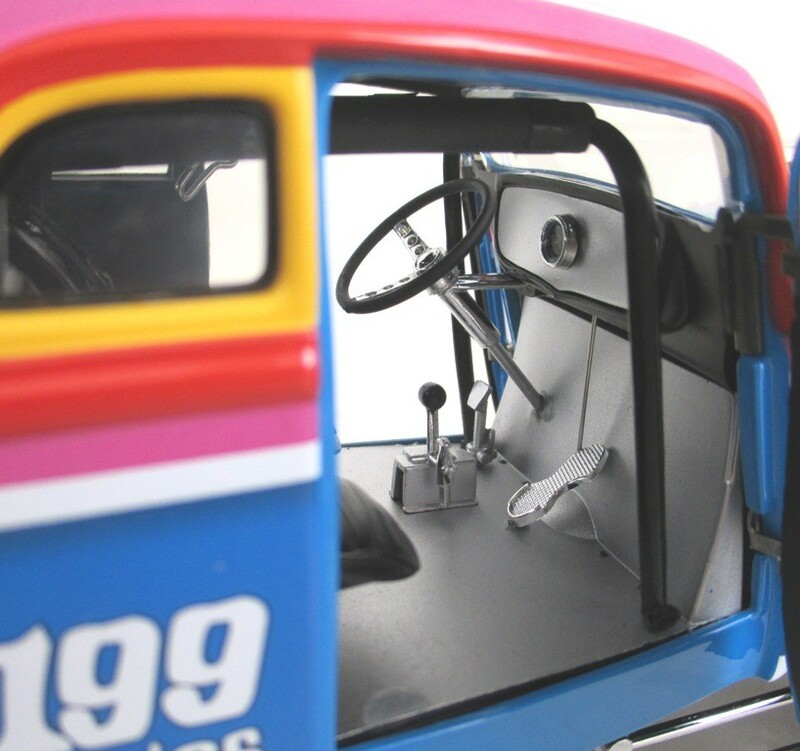 Photos are of the car you are getting. 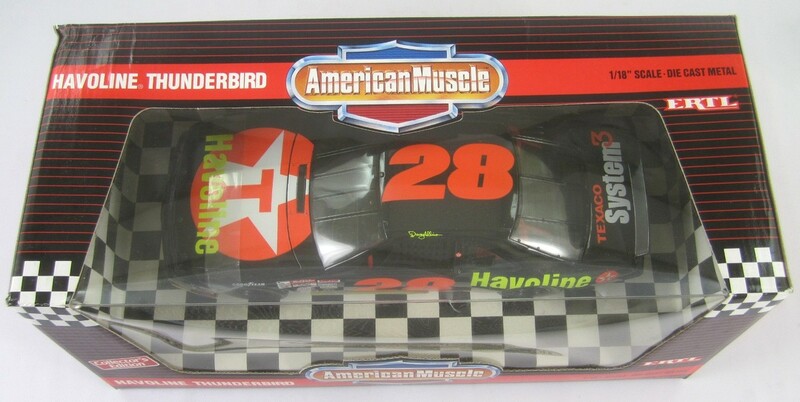 Ertl Stk# 7458, Davey Allison #28 Texaco Havoline Nascar in 1/18 (11 in long) die-cast metal. 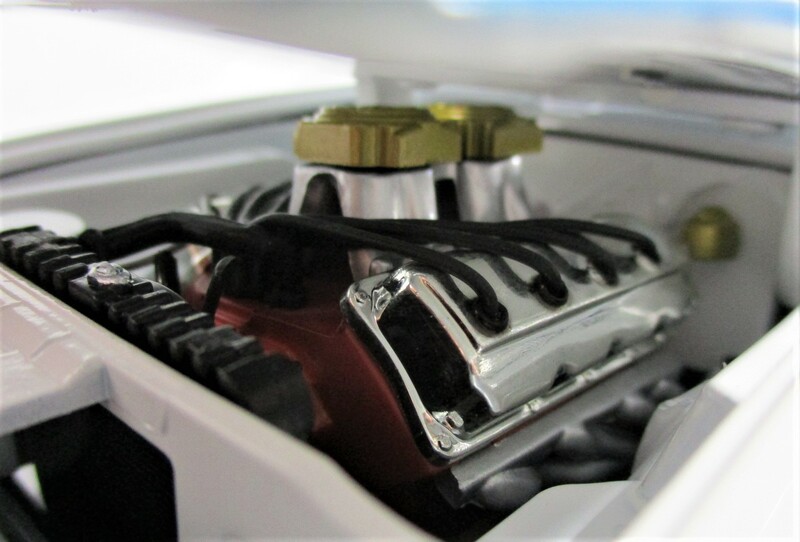 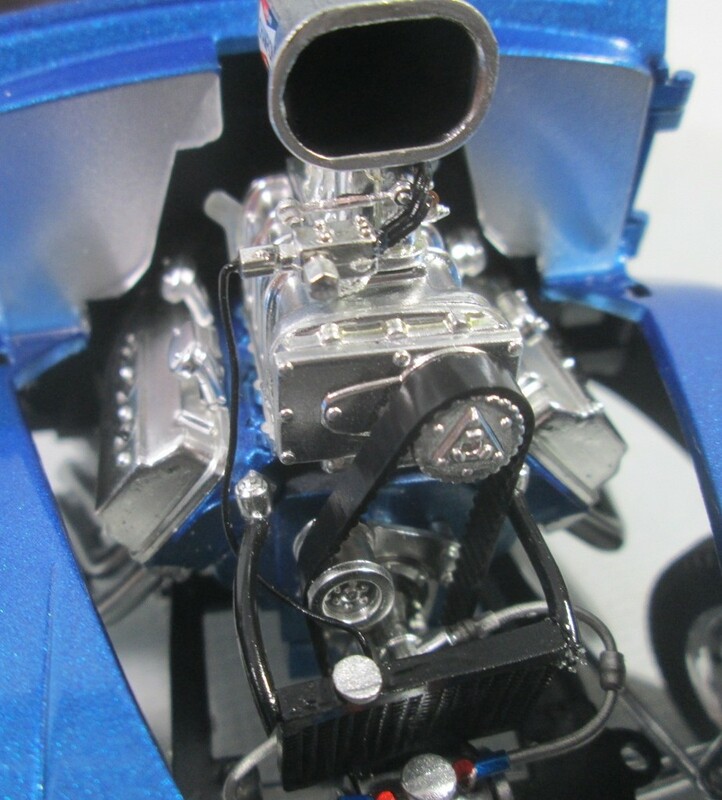 Opening Hood with detailed Engine and Chassis. 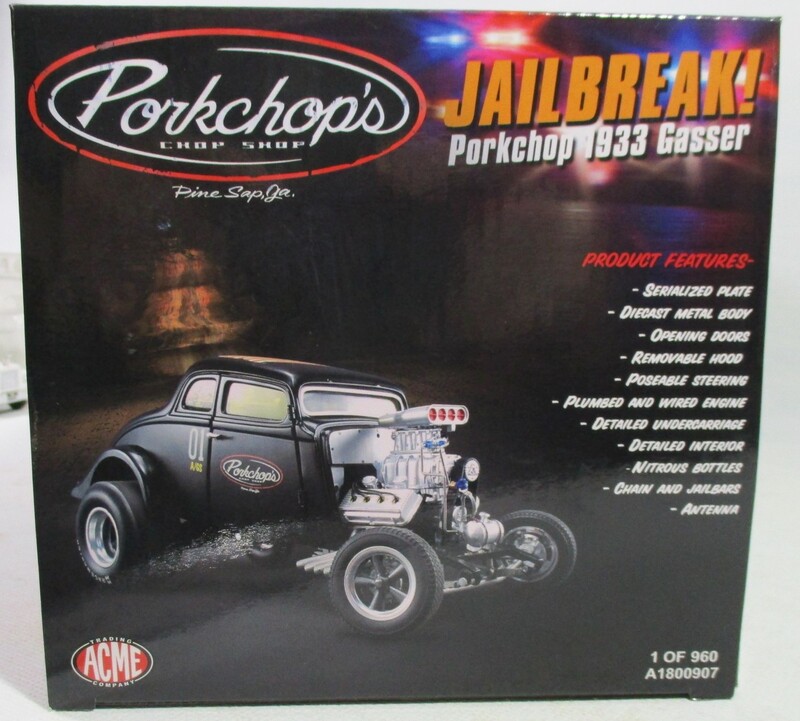 New in Clean box, Never Opened. 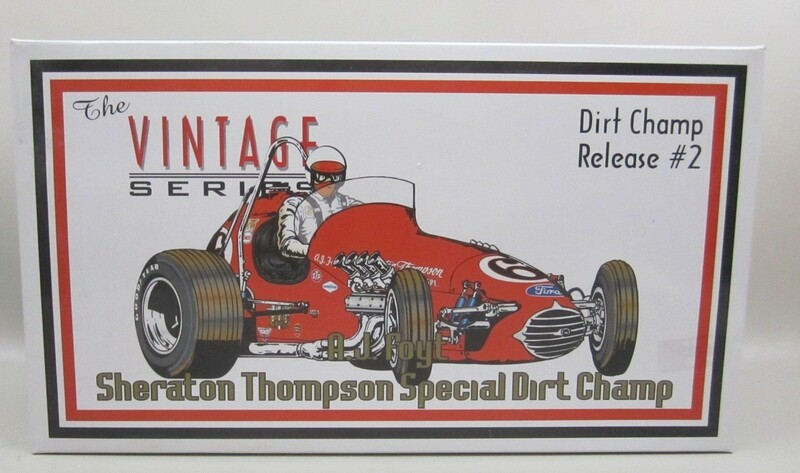 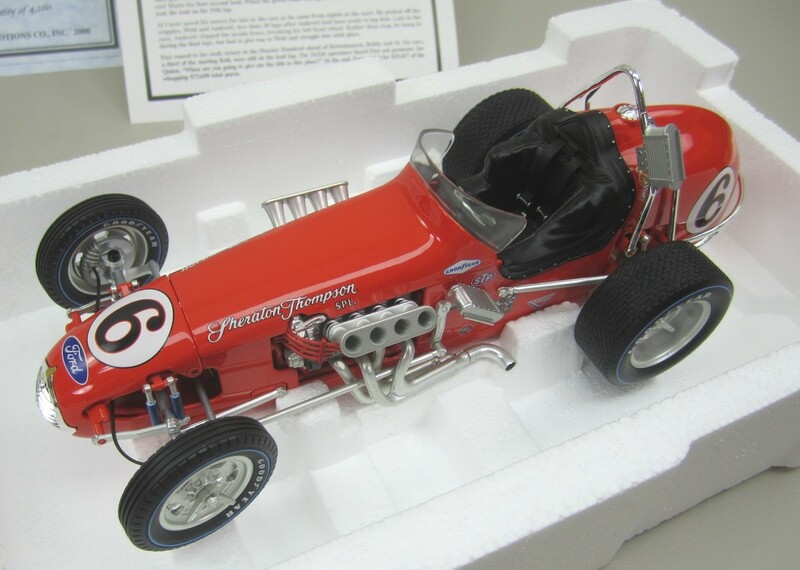 GMP Stk# 7622 AJ Foyt Sheraton Thompson Special Ford Powered Dirt Champ car. 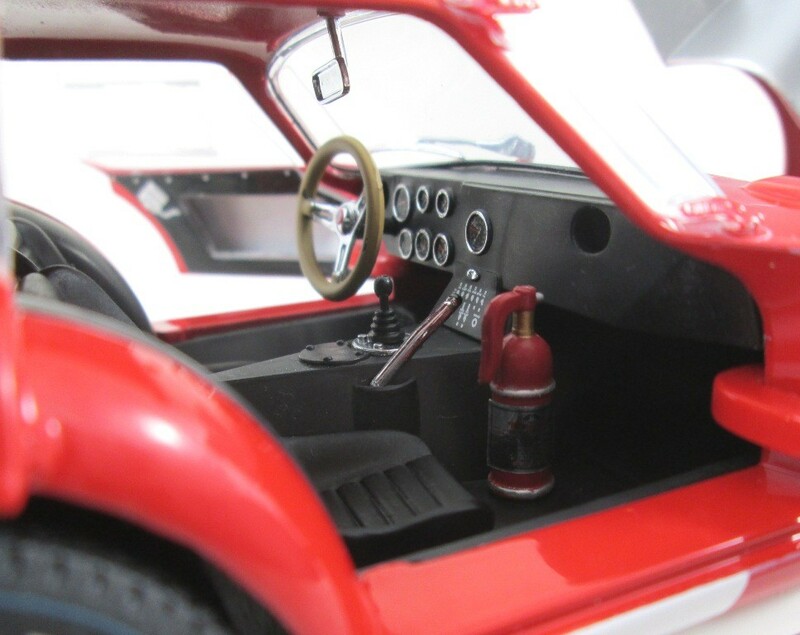 High detail 1/18 (9 in long) diecast model in the Vintage Series, Release #2. 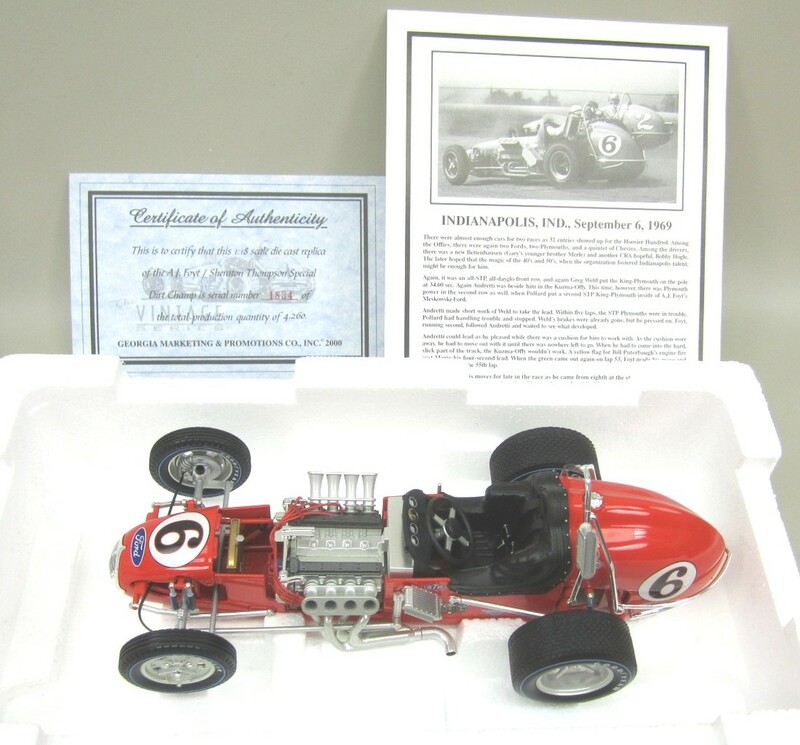 Includes history card of the Race and Certificate of Authenticity, Serial Number 1834 of 4260 made. 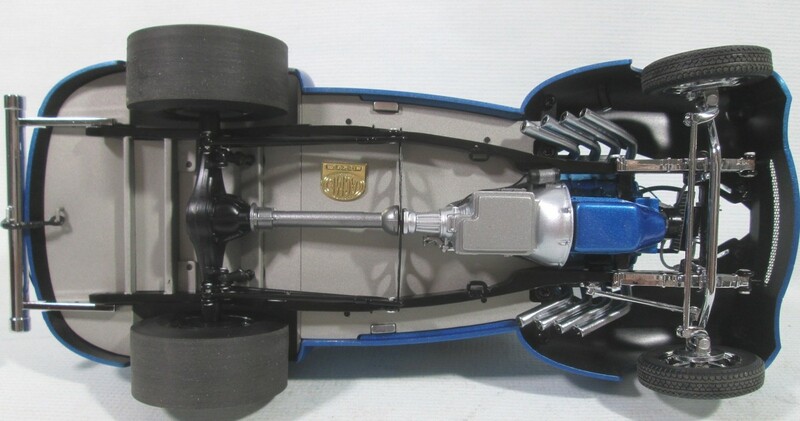 Dated 2000. 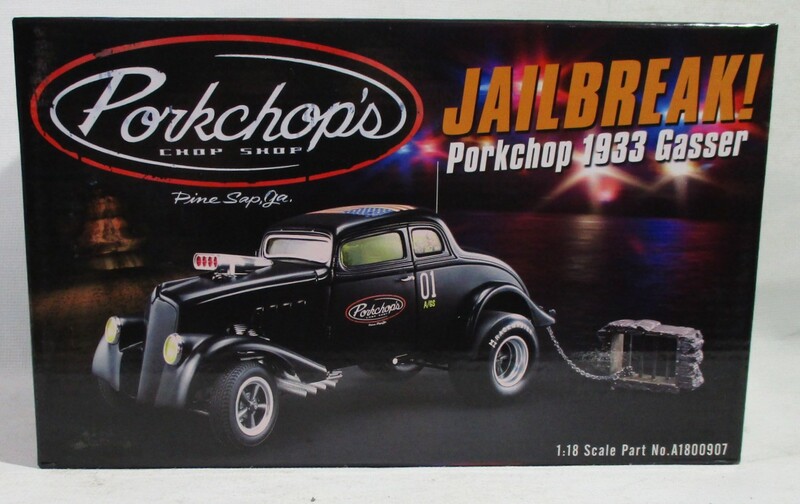 New in box, opened only for these photos.